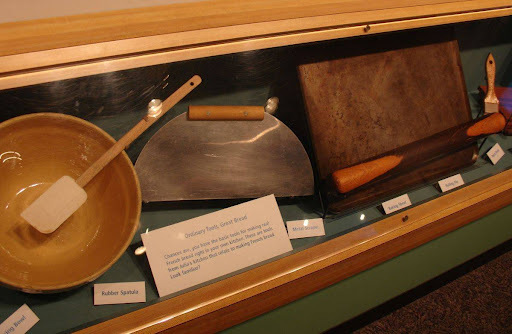 I’ve come to realize that many of us have been bequeathed a cherished family recipe. Be it simple or elaborate to prepare, it’s a dish so fiendishly delicious that it is the unmistakable star of the family meal, whether celebrating triumphs, comforting woes, or keeping family traditions alive. Withholding such heirloom recipes from the world seems almost cruel. Hence, I am championing the family recipe. 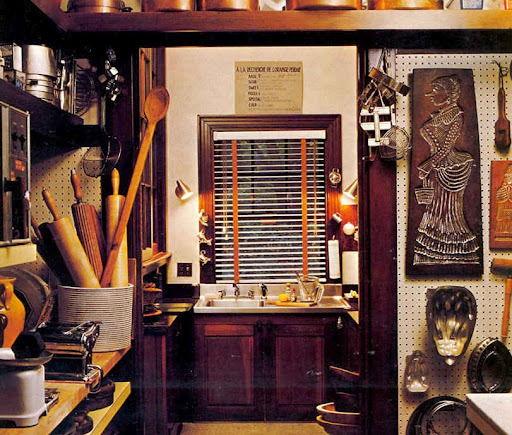 I will entice the people in my universe to share favourite, nostalgia-infused family recipes, and I will give one of them centre stage in this very space on a monthly basis. In the end, we are all family, and these recipes represent the legacies of our shared passions. 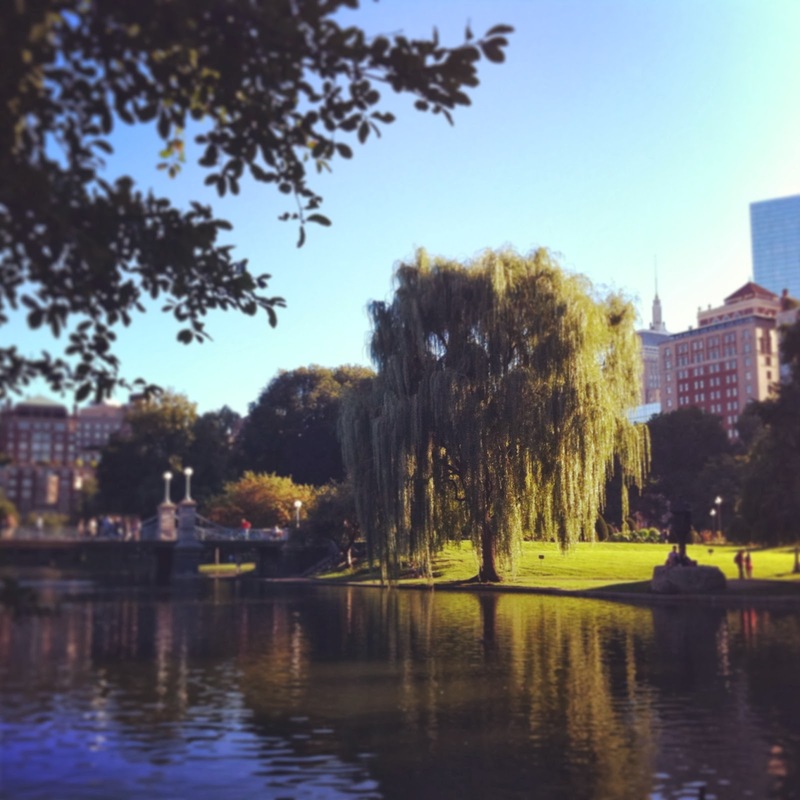 This month’s post is written by my good friend Rachel Ellner, a lifestyle reporter working out of Boston and New York City. Enjoy! I used to tell my mother that the back seat of the boat I take into the afterlife will be filled with her pot roast. Like the wealthiest of ancient Egyptians, I’ll also take my favorite cats, husbands, servants and pottery. But I’m not going anywhere without the tantalizing taste of her roast beef thoroughly drenched in wine gravy. I assume that mashed potatoes, the standard pot-roast accompaniment, are available anywhere. My mother was well aware of the popularity of her pot roast. When I was a child, she would allow us a few minutes of talking through stuffed mouthfuls before shushing us. “I want everyone to be quiet and concentrate on how good this tastes,” she’d say. And we obediently complied. We could all use a little less sugar in our diet. Some need to lower sugar intake for health benefits, and others are baking for their children, who should be discouraged from worshipping sugar. I, for one, am not ready to totally ditch the sweet stuff. 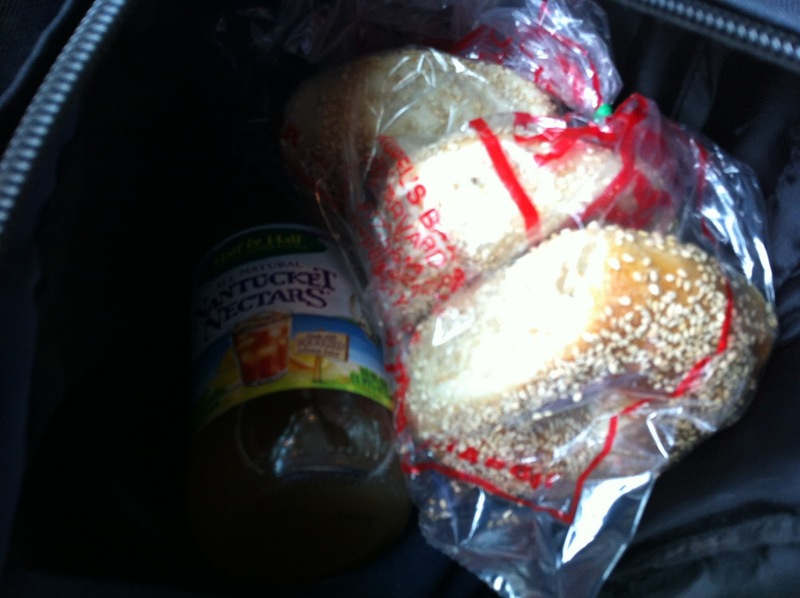 Thankfully there’s Joanne Chang, of Flour Bakery + Cafés in the Boston area. In her latest book, Baking with Less Sugar, she has completely reformulated Flour favourites with much less or zero refined white sugar. The book’s five chapters tackle 60-plus recipes using minimal or no refined sugar. You’ll find the famous Flour banana bread made with only six tablespoons of refined sugar. Using natural sugar alternatives such as honey, maple syrup, chocolate, and fruit, make for more complex flavours and bring deeper, more interesting elements to the desserts. Keith’s Super-Snappy Gingersnaps derive some of their spicy snap from the bite of molasses, and a carrot layer cake is sweetened with apple juice. An entire chapter is devoted to chocolate, most intense when not tempered by the addition of sugar. There is some inexplicable and subconscious comfort in being around good friends. Especially ones that are full of generosity, good humour and affability. Friends who will honour your birthday with a night centered around your favourite team even when it is not theirs. 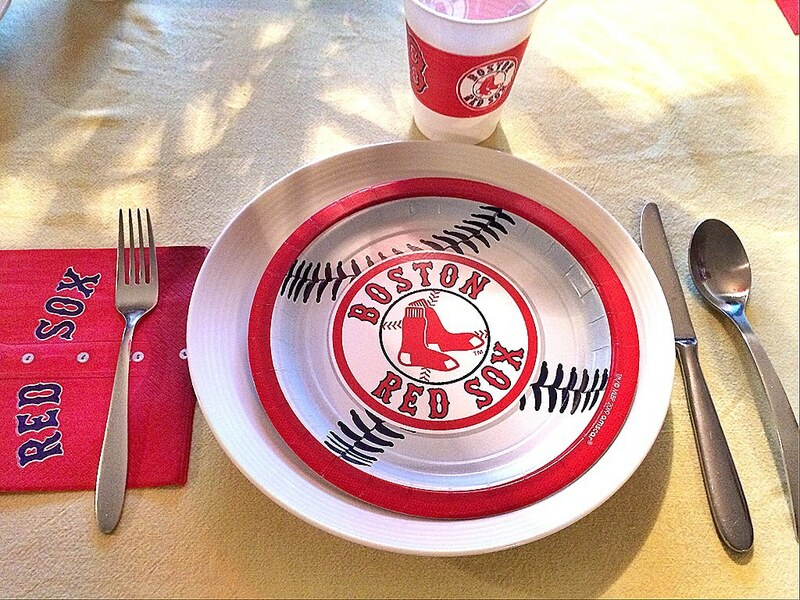 Recently, I was feted with a Boston-themed soiree by these friends of mine and treated to a meal of staggering proportions, a ‘Best of New England’ menu accessorized with Red Sox napkins, balloons, plates and cups. The crab salad was fresh, fragrant, zingy, crunchy with equal parts sweet and creamy. The chowdah was the best I’ve ever had. And I’ve had plenty. The broth was clean and allowed the palate to fully access all the flavours of the ingredients with the corn and the chives providing a boost of flavour. The risotto was decadent and flawless. Hefty chunks of perfectly cooked lobster surrounded by tender rice in the most tasty of broths accented by a side of fresh greens. 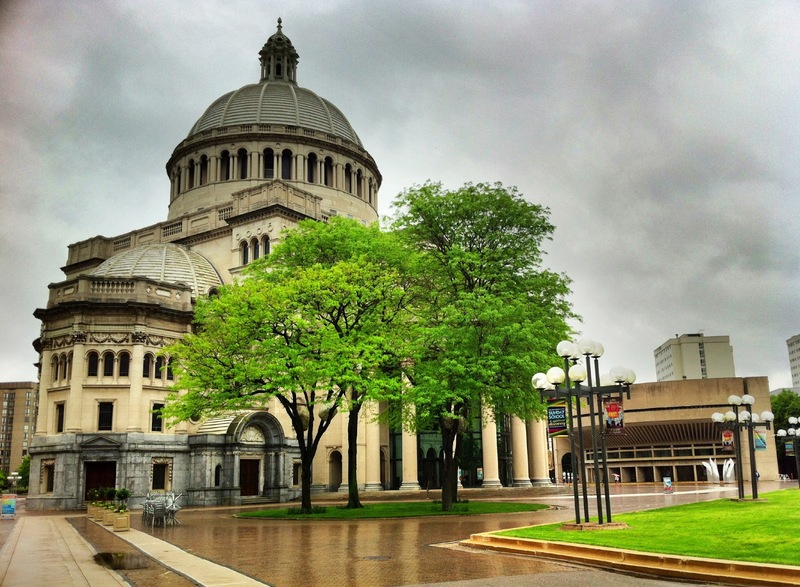 To travel to Boston is to be transported into a world juxtaposed between modern and historic. Gleaming contemporary architecture sit by centuries-old brick structures. 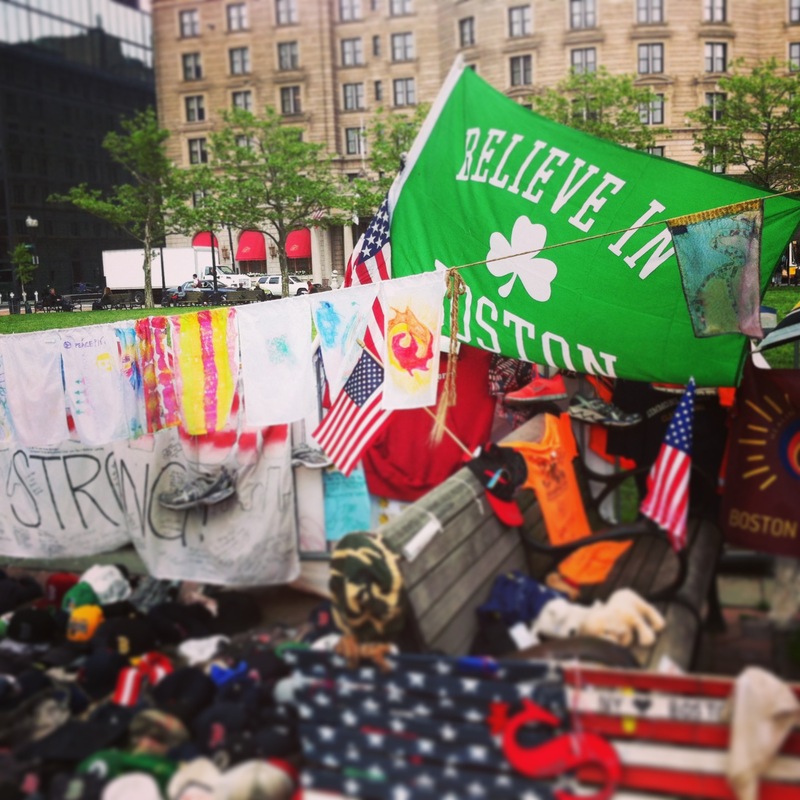 Monuments to fallen heroes live side-by-side with Hubway bikes. It is a city that has carefully preserved its history yet is undaunted by the future. Always striving to move forward yet never forgetting where it’s been. Much the same can be said for its cuisine. 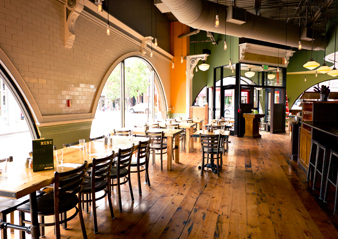 Classic dinning establishments are revered all the while new innovative eateries are championed. 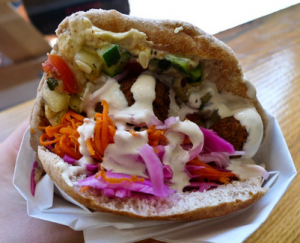 The art of good eating is a vital component of Boston. On my latest jaunt, I acted as if I had been suddenly dropped into the epicenter of this vibrant city and I set off on a little culinary adventurism. Determined to discover old as well as new heroes. OTTO Pizza how do I love thee? I love thee purely, I love thee freely. You have won my heart. This is what pizza pie is supposed to taste like. 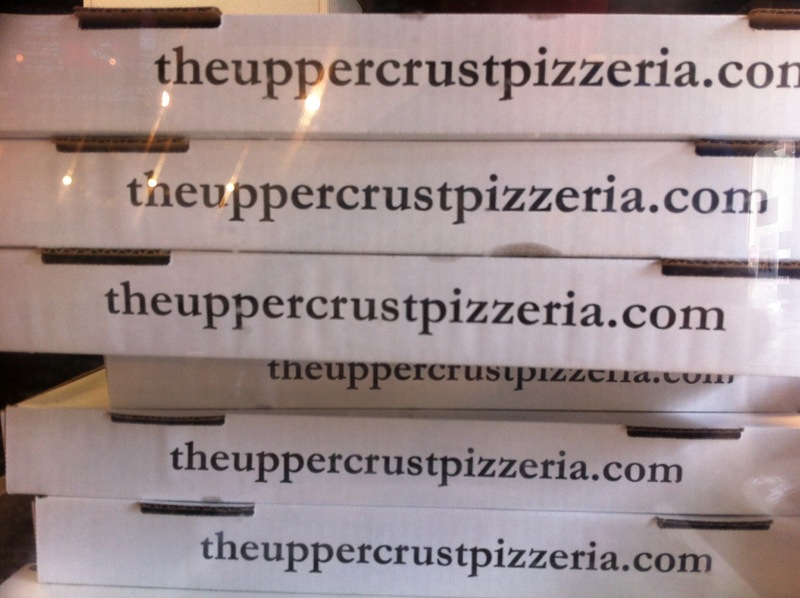 Slender and crisp crust daringly topped with what seems like nonsensical ingredients. Butternut squash? Cranberries? White beans? Mashed potatoes? It’s unusual, creative and madly delicious. And it’s what sets it apart from other joints. 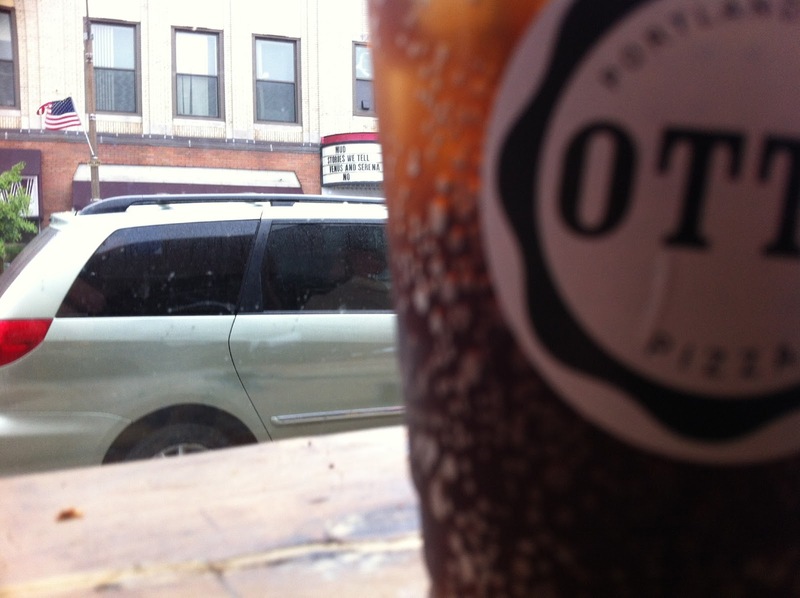 I dream of one day living near an OTTO and indulging on mashed potato-bacon-scallions pizza every single day. One could be so lucky. OTTO Pizza I love thee with the breath, smiles, tears of all my life. Till we are together again. Saus elevates the humble potato to a fine art. 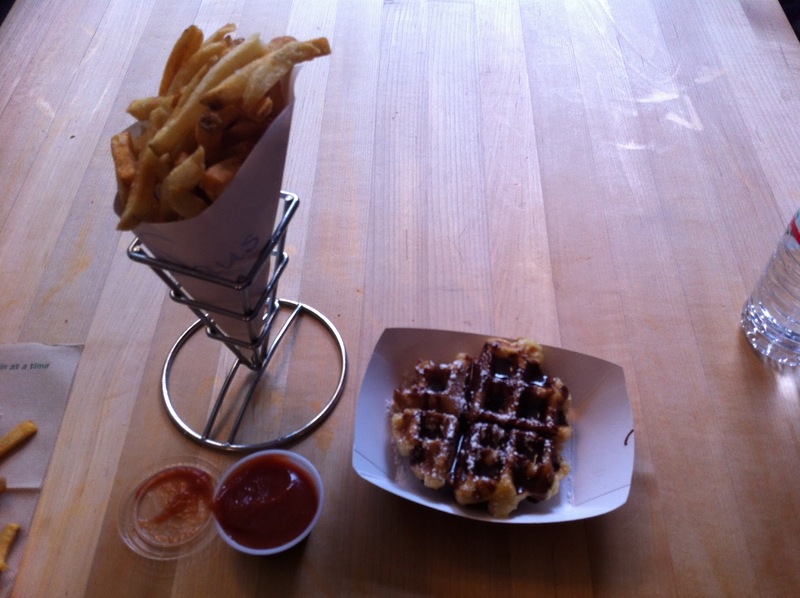 Belgian style fries, hand cut daily and served with your choice of condiment are their specialty. And they whole-heartedly believe in the power of the condiment, which is why they offer over 15 unique sauces, not including homemade mayo, ketchup, and gravy. Try the Ole Chipotle (chipotle in adobo, lime juice, fresh cilantro, mayo), the Sweet Bill’s BBQ (onions, cider vinegar, spices, mesquite smoke) or the Bacon Parm (applewood smoked bacon, Parmesan). 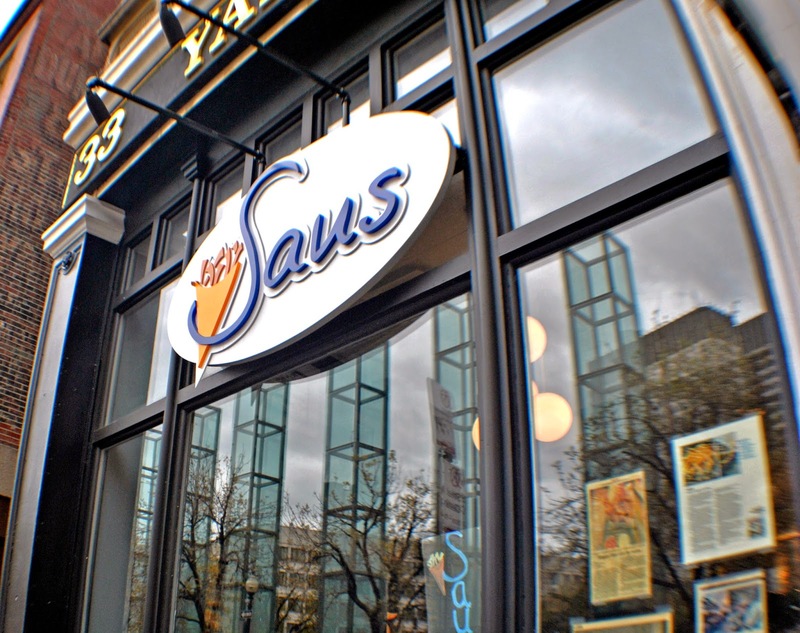 Just around the corner from Faneuil Hall, check out Saus at 33 Union St. 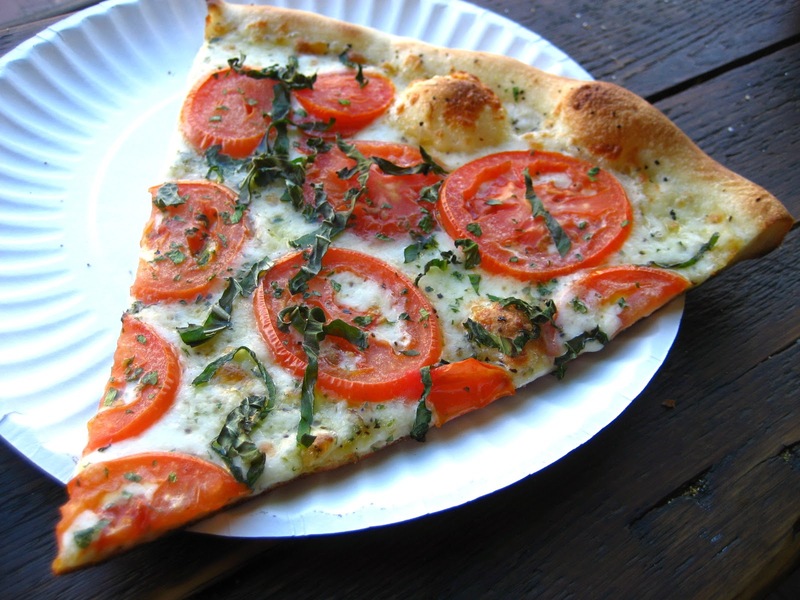 Depending on who you talk to, Regina is seen as the best pizza in Boston. At 80 years and counting, it’s a genuinely old-school joint, filled with wooden booths and photos of local celebs. As for the pies themselves, the crust is crunchy-chewy perfection and the sauce is light and tangy with a signature drizzle of garlic oil. 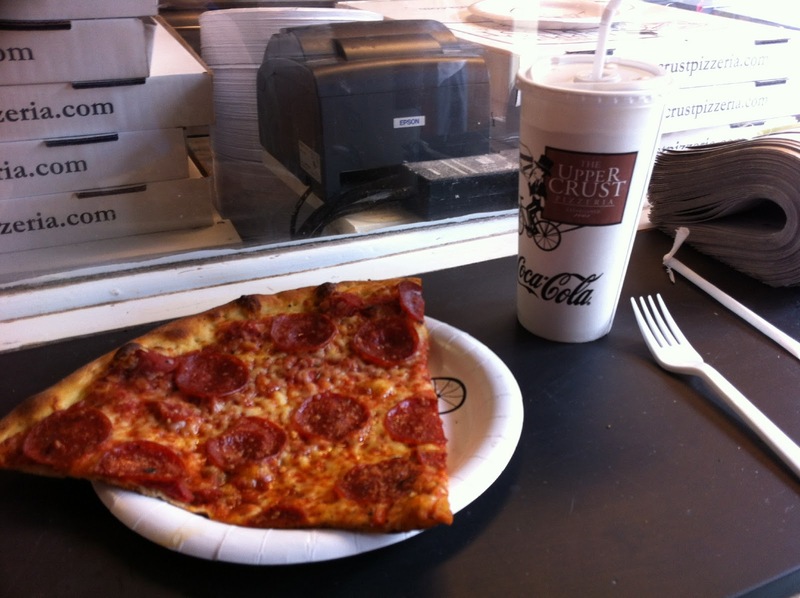 I can’t not have a slice while I am visiting the city. You shouldn’t either. 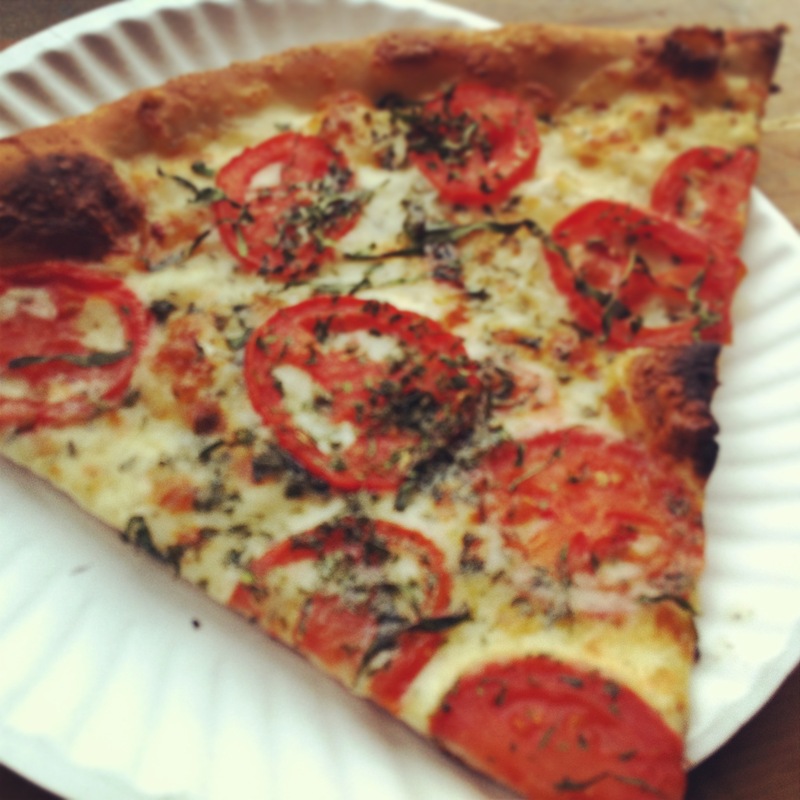 Pizzeria Regina is at 11 1/2 Thacher St. in the North End and in Faneuil Hall. 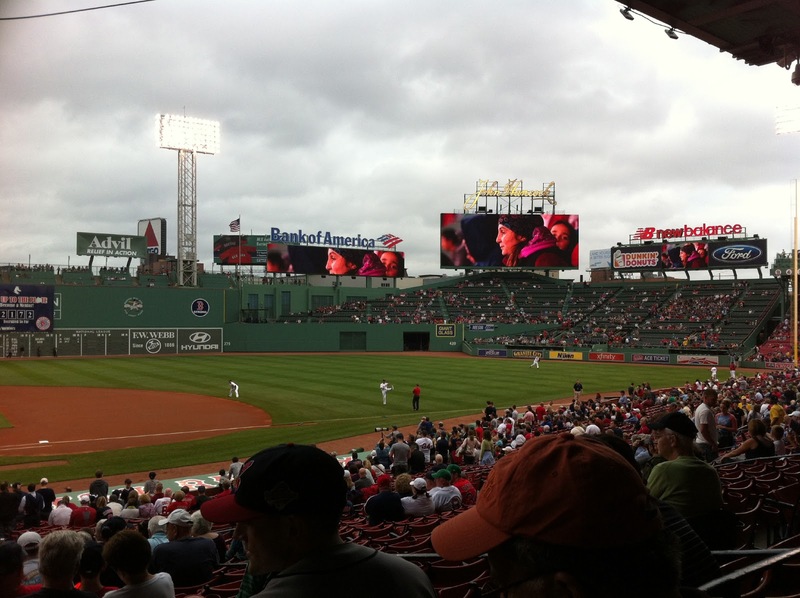 I go to Boston to see my beloved Red Sox play. 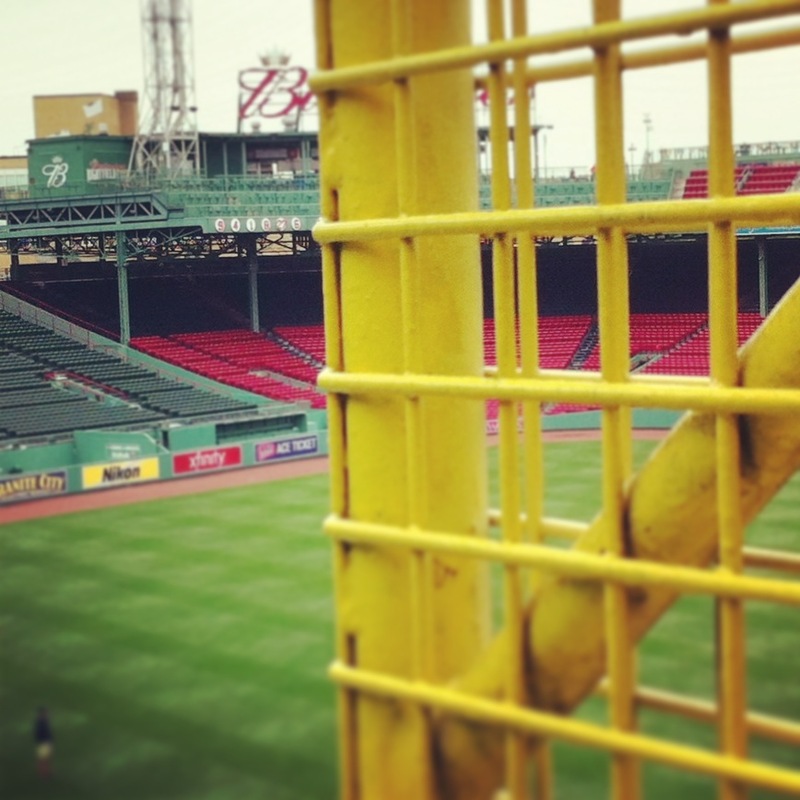 Fenway is the happiest place on earth. 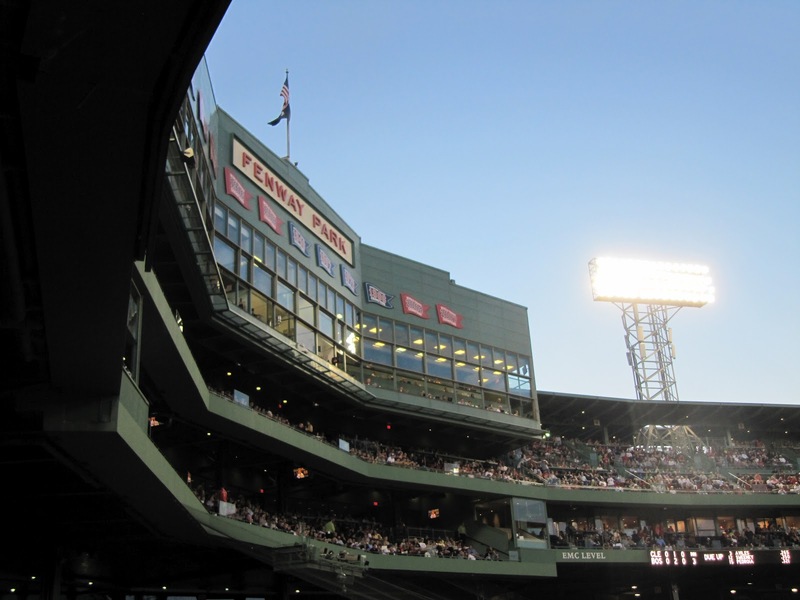 It’s amazing to me that though generations have come and gone, Fenway Park remains, much like it did the day it opened on April 20, 1912. 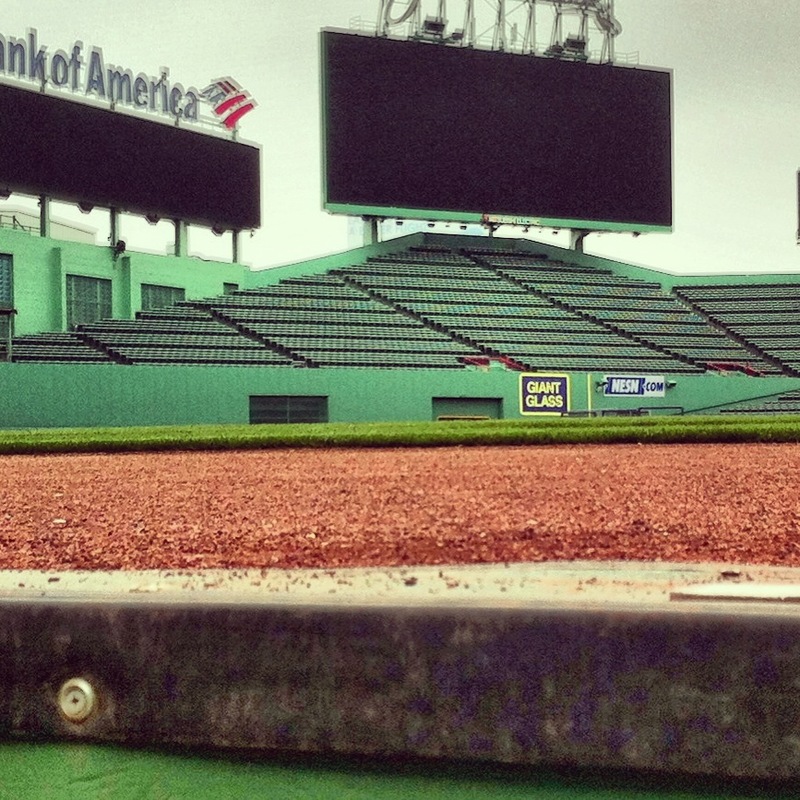 Fenway Park is a place where dreams are made, traditions are celebrated and baseball is forever. 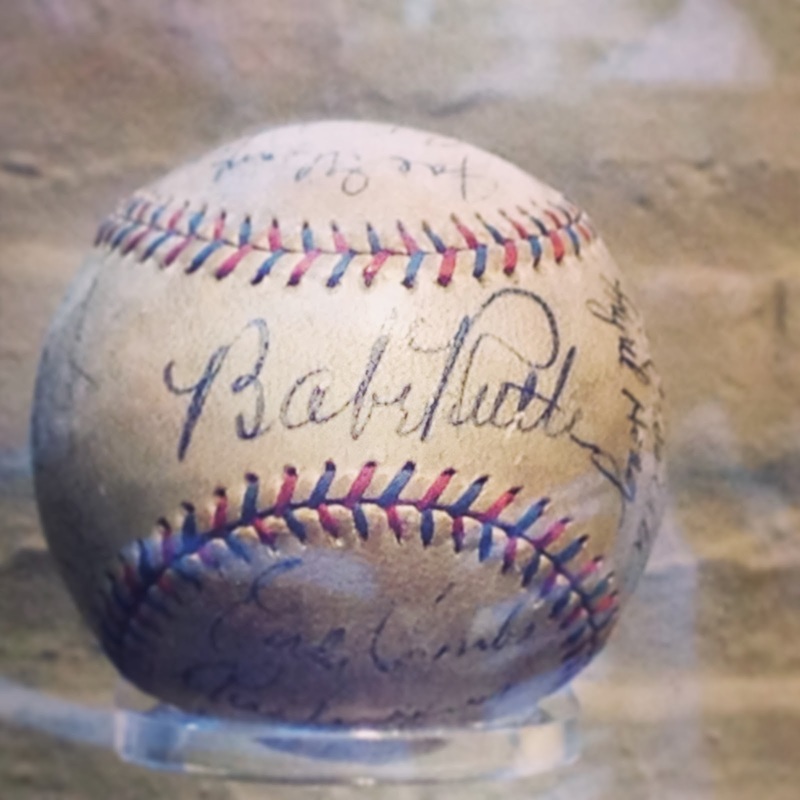 Williams, Yaz, Fisk and Rice all played here. How cool. 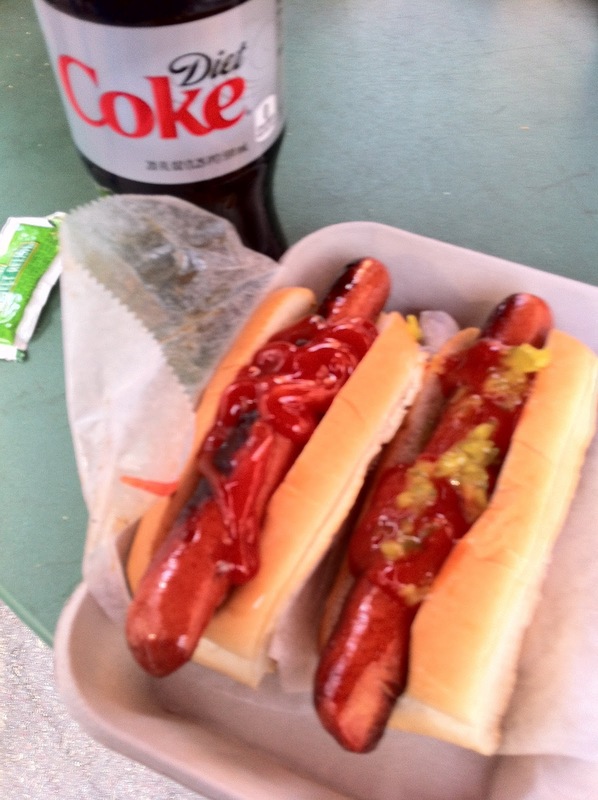 There’s plenty of food at Fenway but Fenway Franks is my must-have when I’m at the park. These signature blended franks are meaty, juicy with a touch of smoke and garlic tucked into a steamed New England Style split top roll. This dog has the right spice balance, perfect juiciness and the best flavour. Perfection! The best salad I ever had, hands down, was at Flour Bakery + Cafe. Quinoa, tofu mixed with roasted cauliflower, carrots, portobello mushrooms, diced celery, fresh edamame beans, a handful of baby spinach all coated in a ginger scallion dressing. This salad will turn even the most anti-tofu/anti-quinoa customer into a fan. 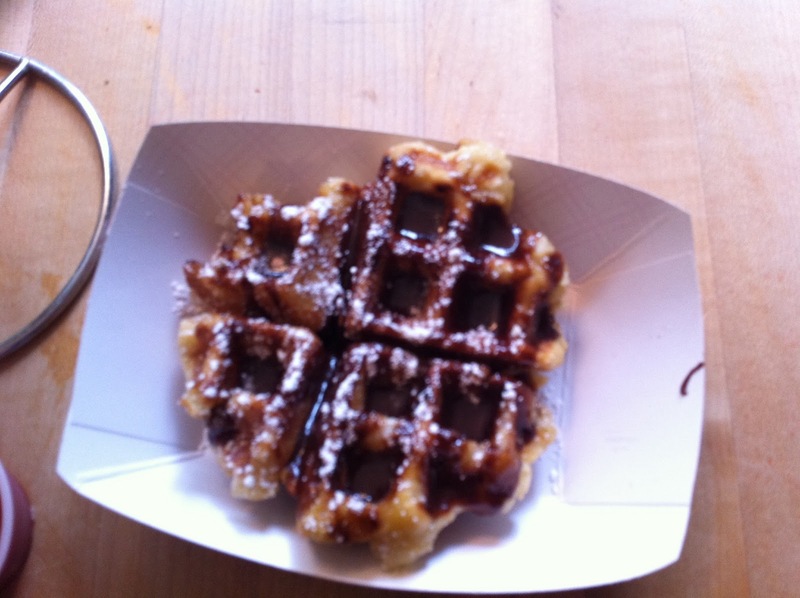 Gooey, cinnamony, warm and soft with layers of brown sugar-honey goodness. Pecans sprinkled on top add a touch of crunchiness. Yeah, I’m talking about Flour’s Sticky-Sticky Bun. I have them every time I am in town, as you should. So if you stop by for a Sunday morning treat, run. And make sure you call ahead. They run out quickly. I stayed at one of the most historical hotels in all of America and I can’t recommend it enough. 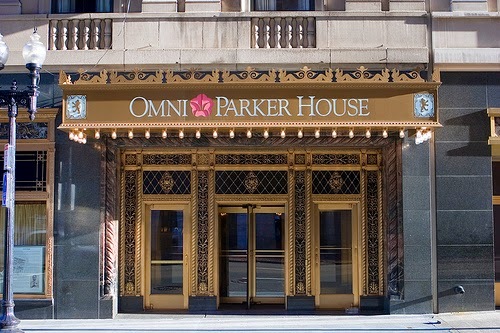 Opened in 1855 by Harvey D. Parker and located on School Street near the corner of Tremont, not far from the seat of the Massachusetts state government, the Omni Parker House Hotel has long been a rendezvous for politicians. John F. Kennedy announced his candidacy for Congress at the Parker House in 1946 and also held his bachelor party in the hotel’s Press Room there in 1953. That must have been quite the party. Ho Chi Minh worked as a baker at the hotel from 1911 to 1913. Malcolm X, then going by the name Malcolm Little, worked as a busboy at the hotel in the 1940s. The hotel was home to the Saturday Club, also referred to as the Saturday Night Club, which consisted of literary dignitaries such as Charles Dickens, Henry Wadsworth Longfellow, Ralph Waldo Emerson, and Oliver Wendell Holmes. Sr. Charles Dickens resided in the Parker House for two years in his own apartments and first recited and performed “A Christmas Carol” at the Saturday Club at the Parker House. 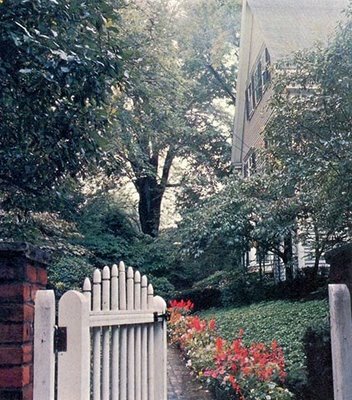 The Parker House currently holds possession of Charles Dickens lock and key to his apartment door and also his mirror. The Parker House perfected the Boston cream pie, which is more of a cake than a pie. Created by Armenian-French chef M. Sanzian at Boston’s Parker House Hotel in 1856, this pudding and cake combination comprises two layers of sponge cake filled with vanilla flavored custard or crème pâtissière. The cake is topped with a chocolate ganache. 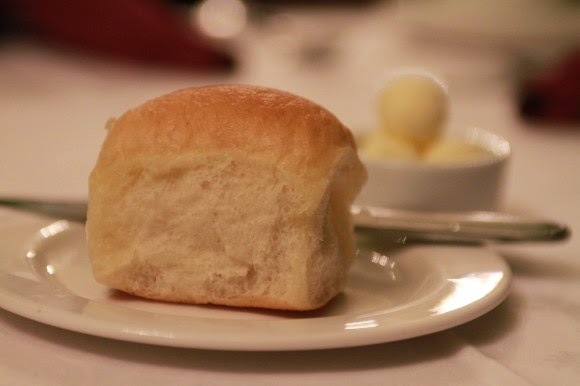 The Parker House roll was also invented here during the 1870’s. Made by flattening the center of a ball of dough with a rolling pin so that it becomes an oval shape and then folding the oval in half, they are made with milk and are generally quite buttery, soft, and slightly sweet with a crispy shell. The story of their creation has several variations, but they all involve an angry pastry cook throwing unfinished rolls into the oven, which resulted in their dented appearance. The joint effort of a former Californian and a Boston chef, Dorado brings authentic Mexican to Boston’s Brookline area. Dorado tacos are the real deal. Made with soft homemade tortillas, they’re stuffed with your choice of grilled sirloin steak, marinated chicken or perfectly charred veggies. I went for the fish taco ensenada. 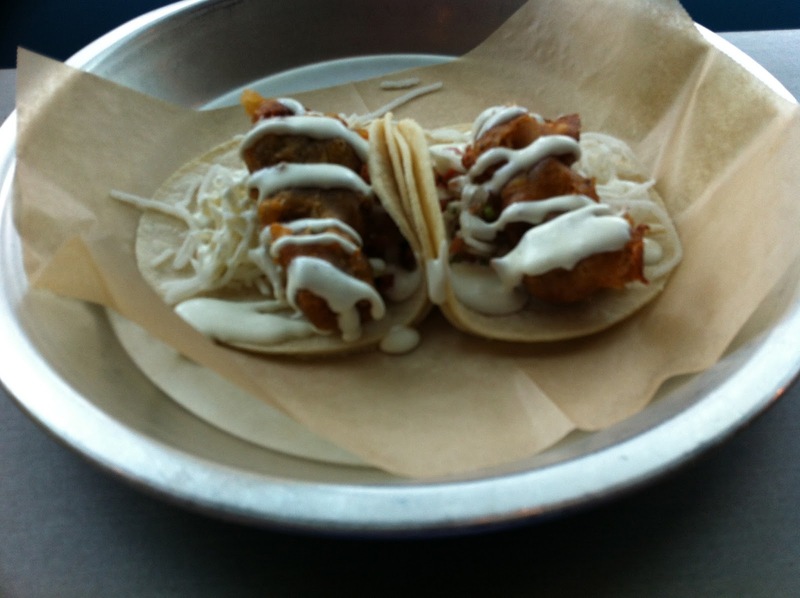 Beer-battered Atlantic whitefish, cabbage, salsa fresca, pickled onions and Baja crema. Its the crunch of the fish and all those flavours that make this tacos irresistible. I’m still thinking about it weeks later. I also tried the house-made chorizo taco with guacamole and salsa fresca which was equally as delicious and flavourful. And for less than six dollars for two gourmet tacos, how could you go wrong? Now that Shake Shack is in town, there’s really no reason to go anywhere else for burgers and fries. 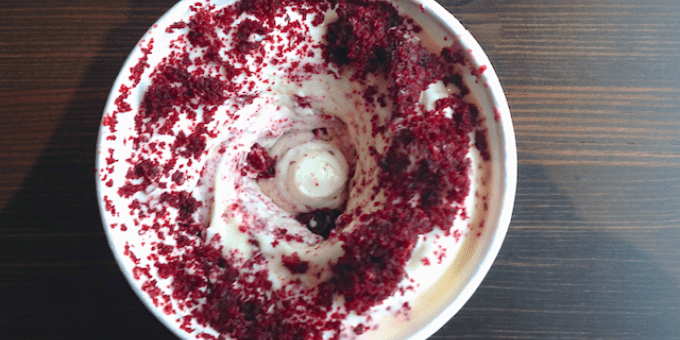 Located in historic Cambridge, Mass., the Harvard Square Shack’s menu features all the Shake Shack classics (I had the ShackBurger) along with the MInT Chocolate concrete (chocolate custard, mint marshmallow sauce and chocolate truffle cookie dough), the Crimson Red Velvet (vanilla frozen custard blended with a slice of crimson red velvet cake from South End Buttery Bakery) and the Lobstah Shell concrete (Vanilla custard, lobstah tail pastry shell from Boston’s North End, strawberry puree and ricotta cream). Good times in the Commonwealth! How could you not love a place where everything on the menu is $5 or less? This place I love is called Clover and I frequent it every time I’m in town. They serve a simple menu that changes daily. 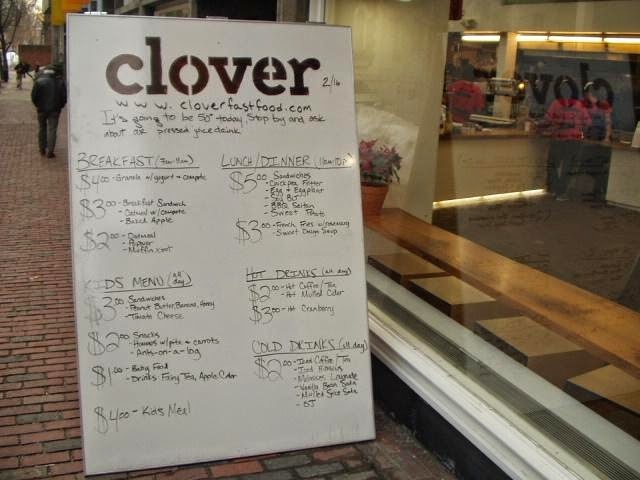 Clover relies heavily on fresh, locally grown fruits and vegetables, and boasts on its website about the fact that the restaurants have no freezers. 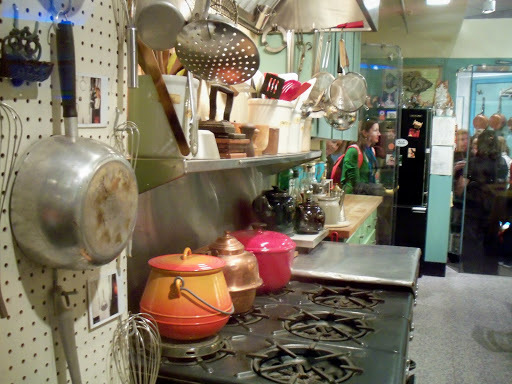 The kitchen is expected to get orders out within an average of 3½ minutes. Fresh, organic food, fast. Try the breakfast sandwhich. A sous-vide egg in a warm pita, with sliced tomatoes, a piece of Grafton cheddar, and a dash of salt and pepper. THE perfect healthy breakfast. 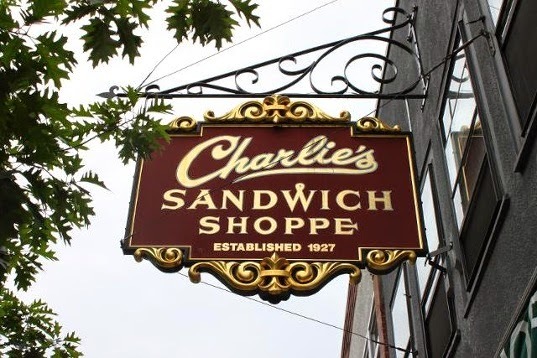 In May of 2014, Charlie’s Sandwich Shoppe announced that it was closing at the end of June, ending its 87-year run. Though I had never been to Charlie’s, I decided to pay my respects. 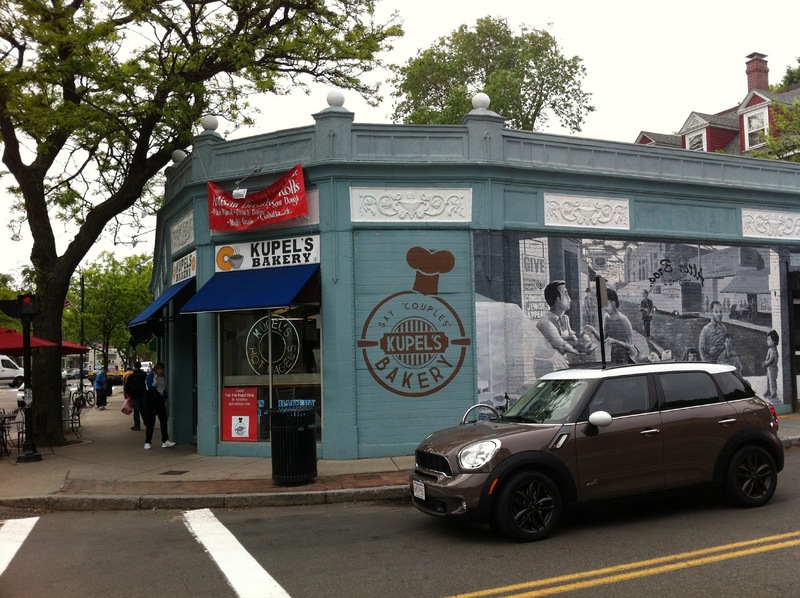 Located in Boston’s South End, Charlie’s Sandwich Shoppe is a neighbourhood diner known for its breakfasts. Charlie’s has been open since 1927 and has no bathrooms. 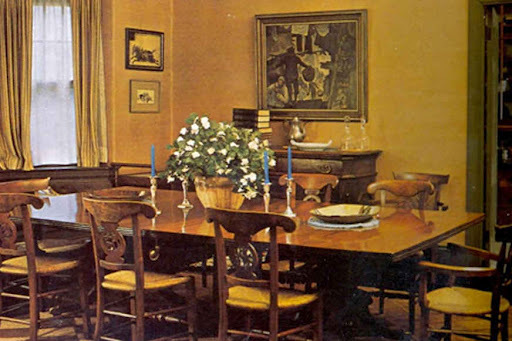 There are only 32 seats, 13 of which lie along a counter across from wooden refrigerators purchased in 1927. For 32 years, the restaurant operated seven days a week, 24 hours a day. When Charlie’s finally decided to close on Sundays, the owners had to call a locksmith because no one had a key to the front door. 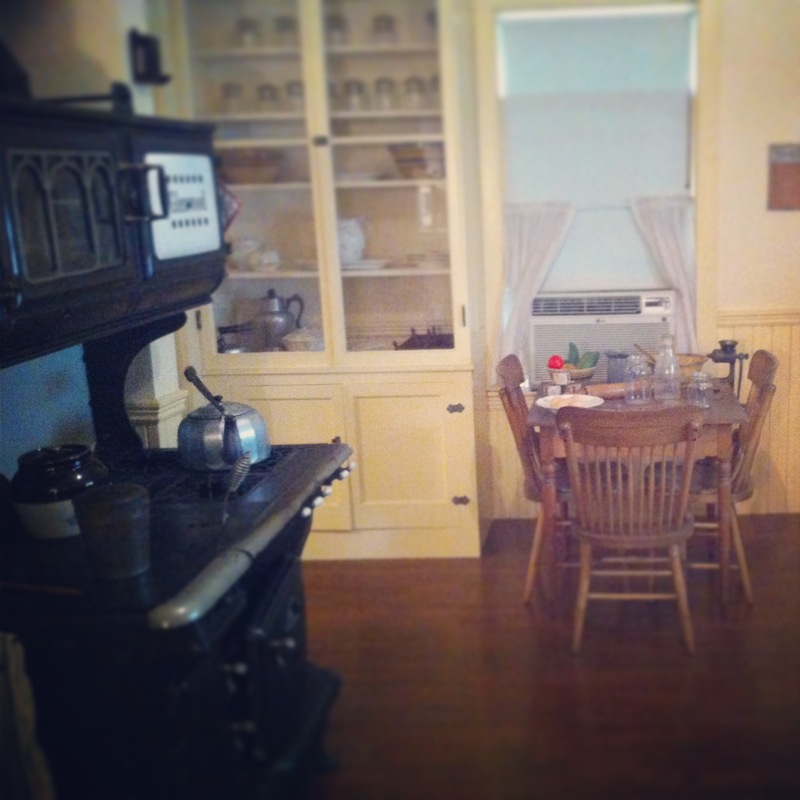 Though its story is in many ways about food, the diner is steeped in rich history. Charlie’s is known for serving African-American jazz musicians during the era of segregated hotels. 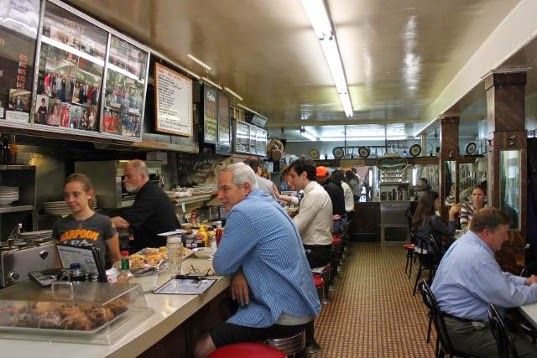 The walls of the diner are adorned with pictures of customers like Sammy Davis, Jr., Vice President Al Gore, various former Red Sox players and managers, Governor Deval Patrick and President Barack Obama. As a child, Sammy Davis, Jr used to tap dance in front of the restaurant for change. 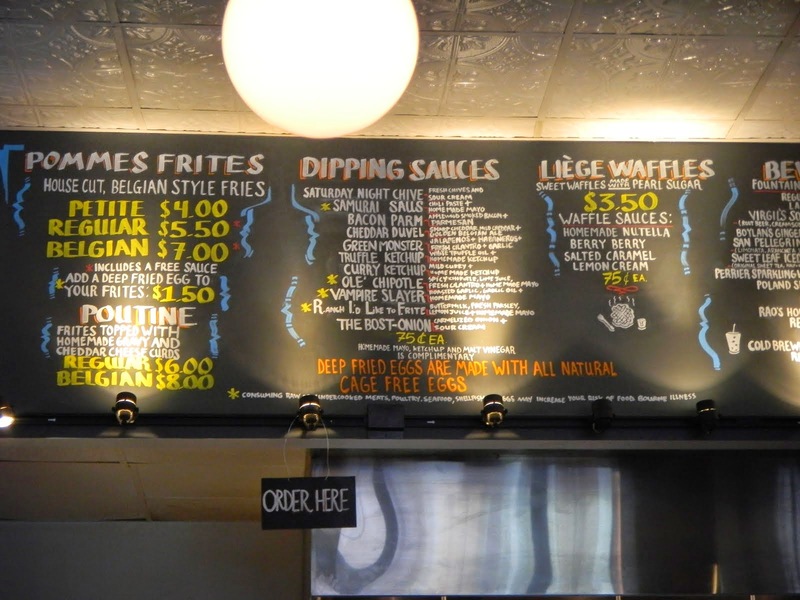 Charlie’s Sandwich Shoppe has won numerous awards over the years (most notably for its turkey hash), culminating in the reception of a James Beard Award in 2005. I’m glad I went. Throngs of people came and went to wish the owner good luck. Asked what he was going to do when the shoppe is closed, he was overhead saying, “I’m going to sleep in.” Very well deserved, I say. 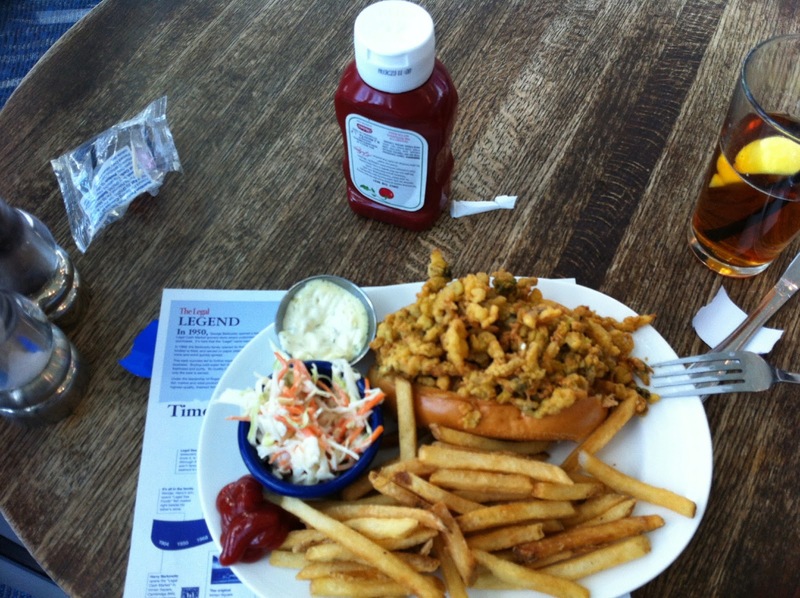 Seafood is essential to Boston’s very being. Living near the ocean affords you to have plenty of digs brimming with the catch of the day. 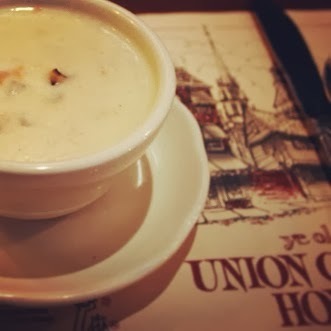 But only one place turns fresh-from-the-ocean fare into a history lesson: Ye Olde Union Oyster House. 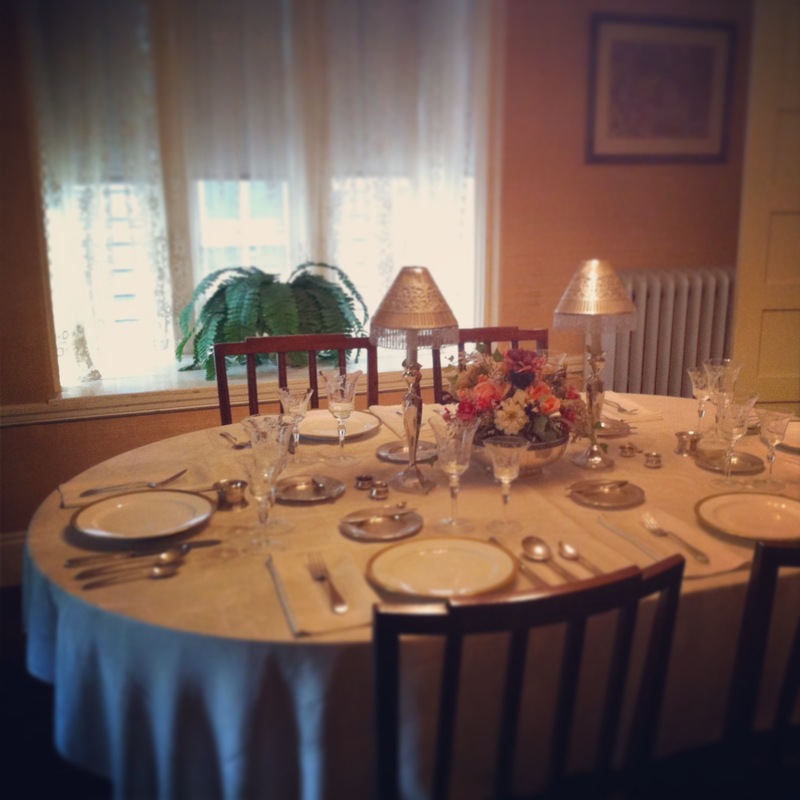 JFK ate here. Already, I’m sold on the place. 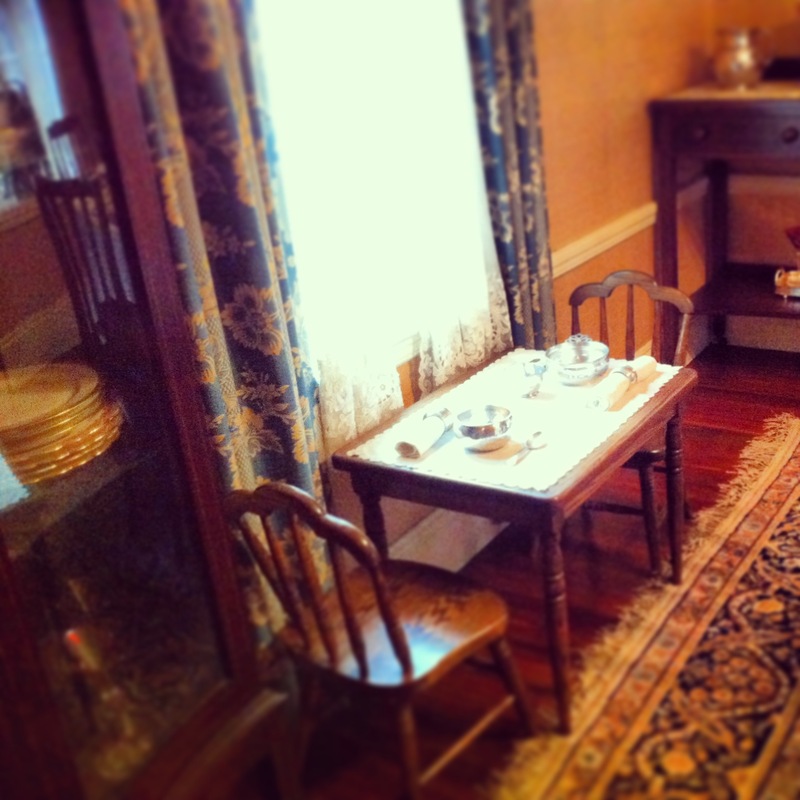 The American president and icon (and personal hero of mine) loved to feast in privacy in the upstairs dining room. 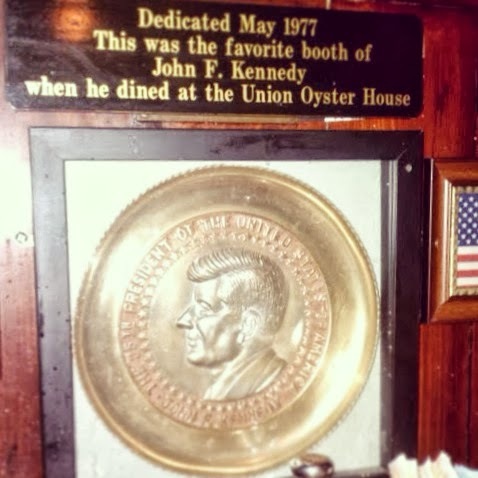 His favorite booth “The Kennedy Booth” has since been dedicated in his memory. 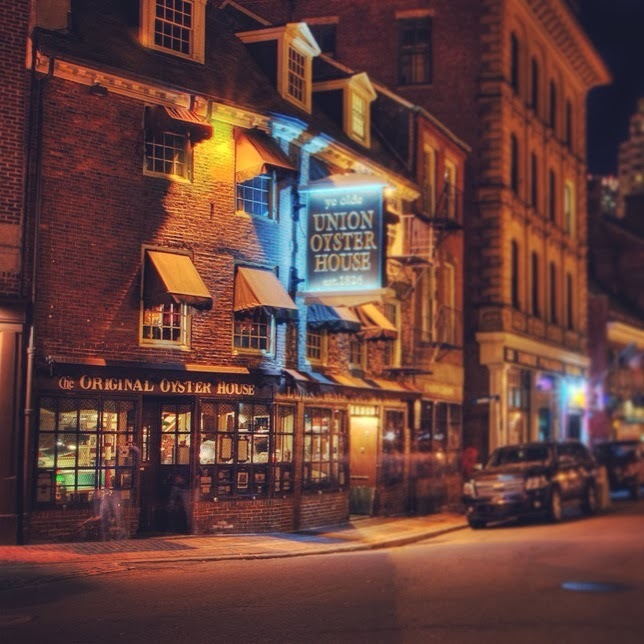 Billed as the oldest restaurant in Boston and the oldest restaurant in continuous service in the U.S., the doors have been open to diners since 1826. 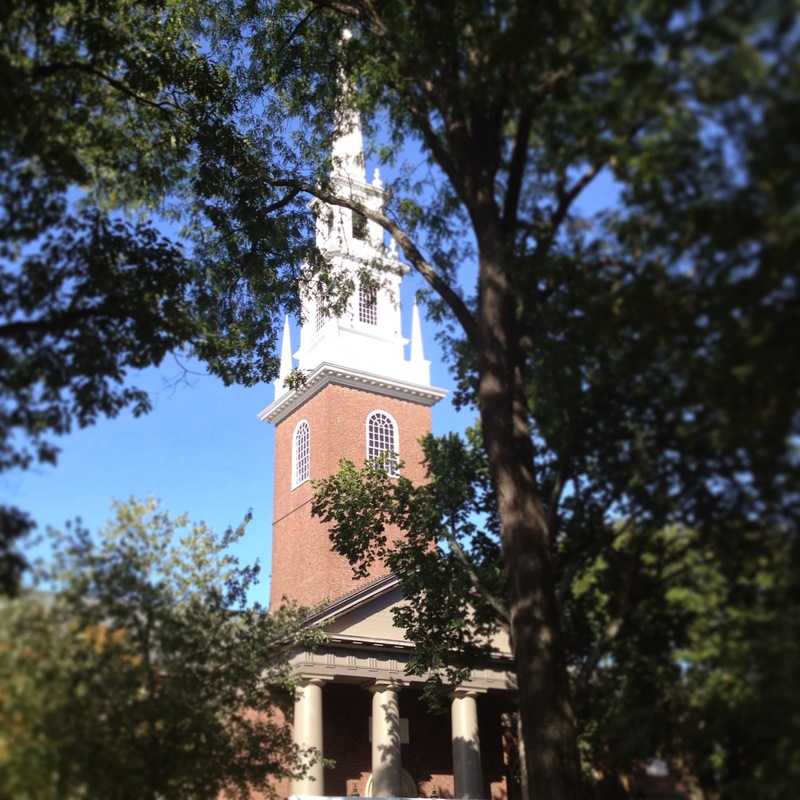 The building itself was built around 1704 and has been designated as a National Historic Landmark. 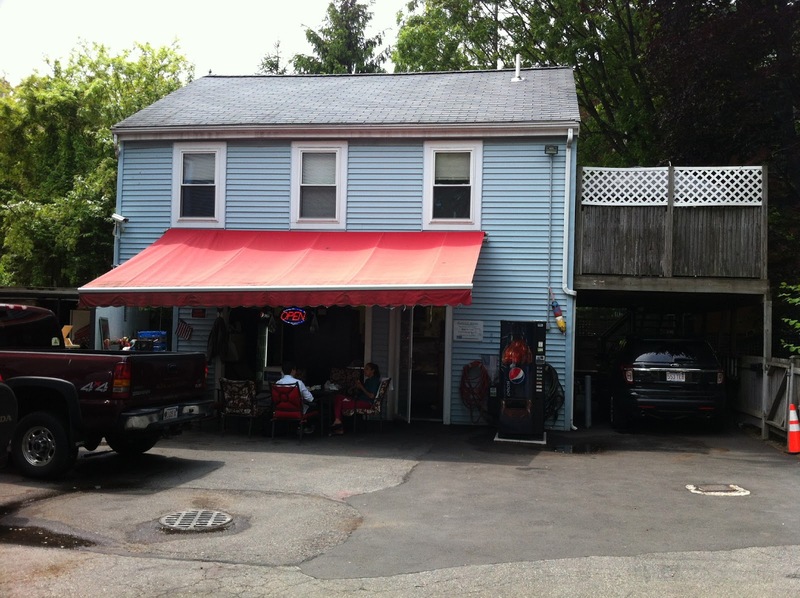 Before it became a restaurant, a dress goods business occupied the property. In 1771, printer Isaiah Thomas published his newspaper, The Massachusetts Spy, from the second floor. The restaurant originally opened as the Atwood & Bacon Oyster House on August 3, 1826. During the revolution the Adams, Hancock, and Quincy wives, often sat in their stalls of the dress goods business sewing and mending clothes for the colonists. In 1796 Louis Philippe, king of France from 1830 to 1848, lived in exile on the second floor. He earned his living by teaching French to many of Boston’s fashionable young ladies. America’s first waitress, Rose Carey, worked there starting in the early 1920s. Her picture is on the wall on the stairway up to the second floor. The toothpick was said to have been popularized in America starting at the Oyster House. Along with great history comes good food. 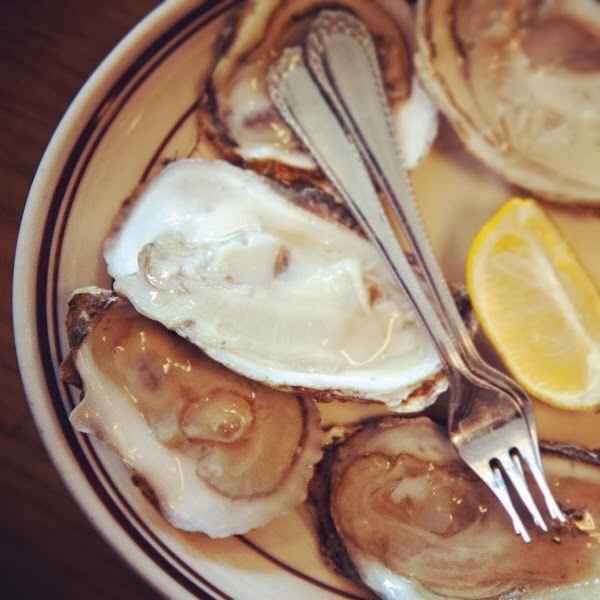 Take a seat at the raw oyster bar on the main floor or try the dinning room which serves up rich and creamy clam chowder, sweet scallops and live Maine lobsters as well as poultry, baked beans, steak and chops. 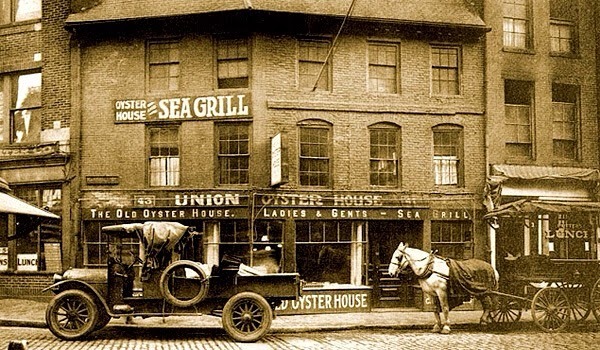 As popular with locals as it with tourists, the Union Oyster House is ripe with history and awash in seafood standards. It’s a mandatory stop to complete your authentic New England experience. 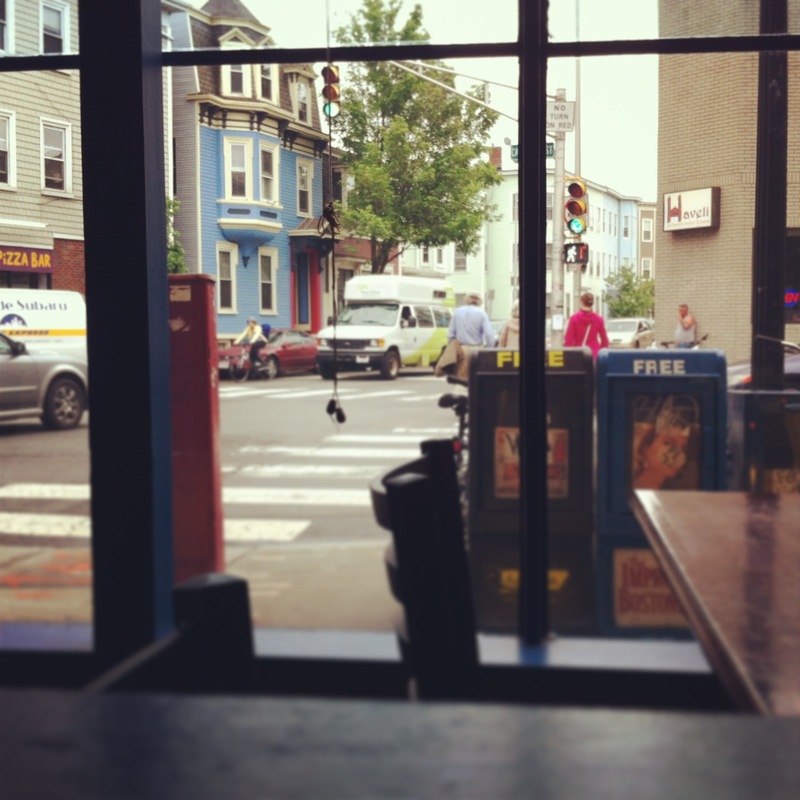 Clover is my go-to place for breakfast when I am in Boston. 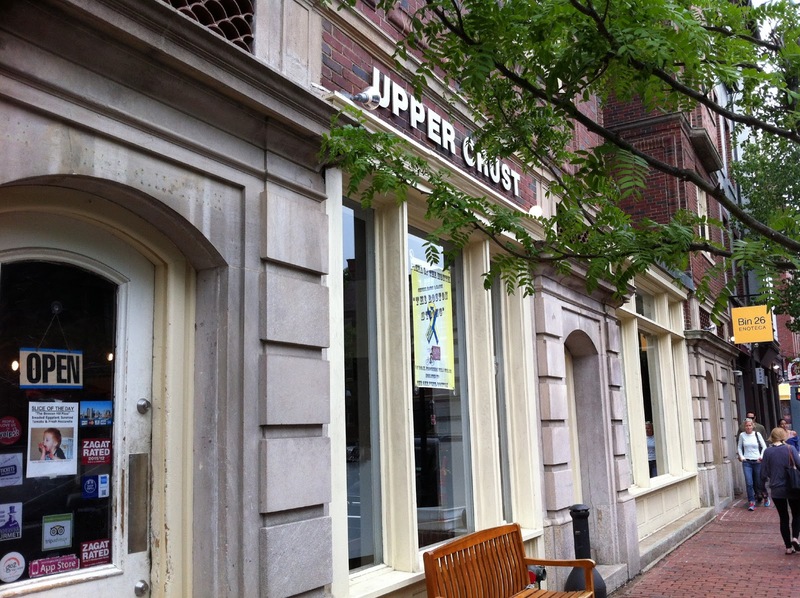 And the Harvard Square location is my favorite. 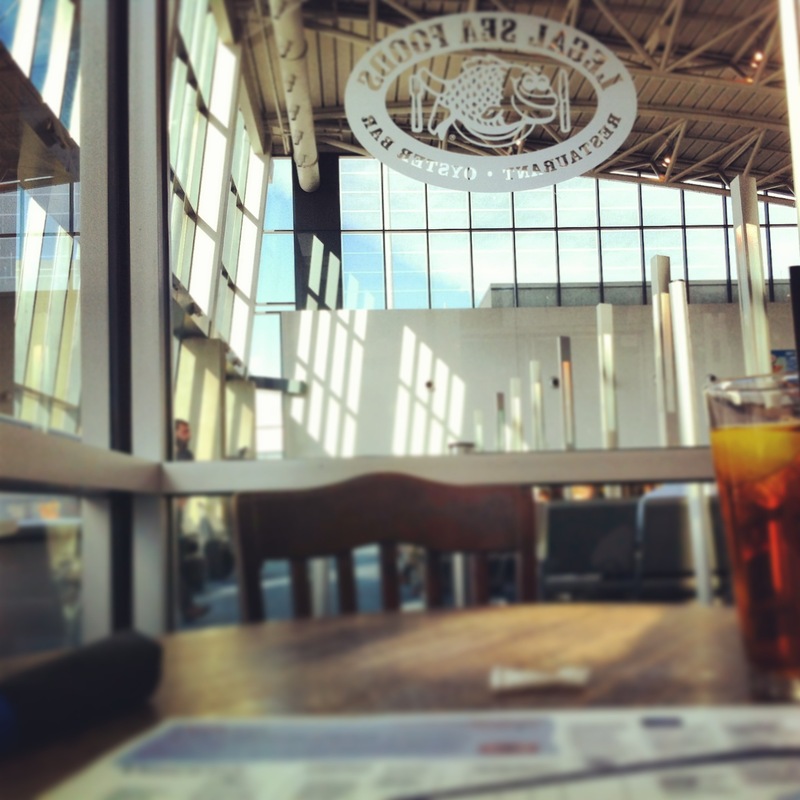 It doesn’t matter where I am staying in the city, HSQ Clover is where I need to go for breakfast. It’s fast food done right. It’s vegetarian. There are no freezers. They cut up the food as close as they can to when we’re going to eat (e.g., tomatoes are cut when you order). Everything is done in an open kitchen visible to the customers. 100% of what they hand us is compostable. The menu changes daily. If you can’t already tell, I’m nuts about this place. You should definitely check it out when you’re in town. 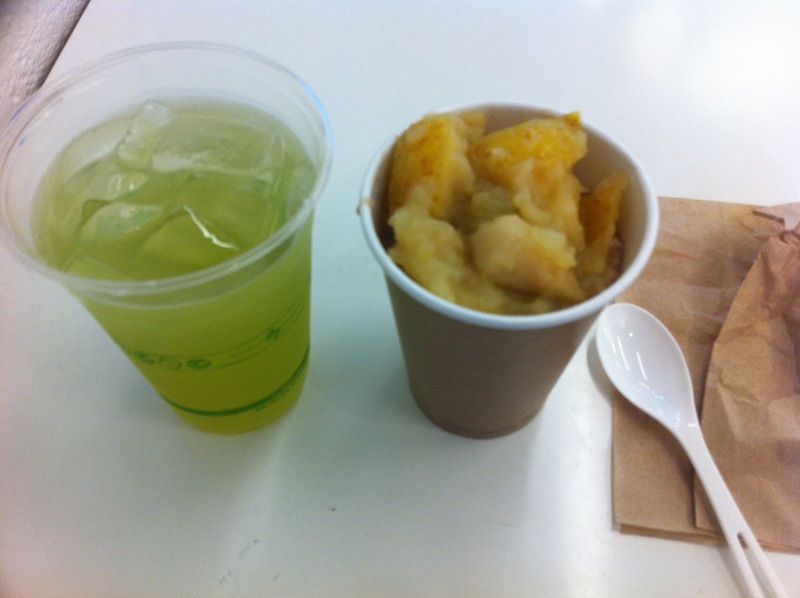 On this occasion, I had the oatmeal with fruit compote with a hibiscus green tea. If you’re in for lunch, I highly recommend the chickpea fritter. 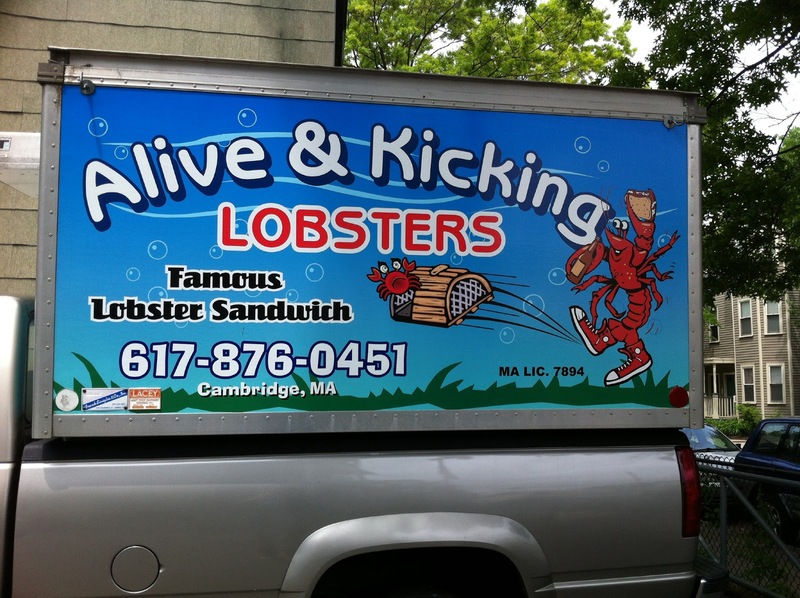 I had heard about this place that served the best lobster sandwiches in New England. 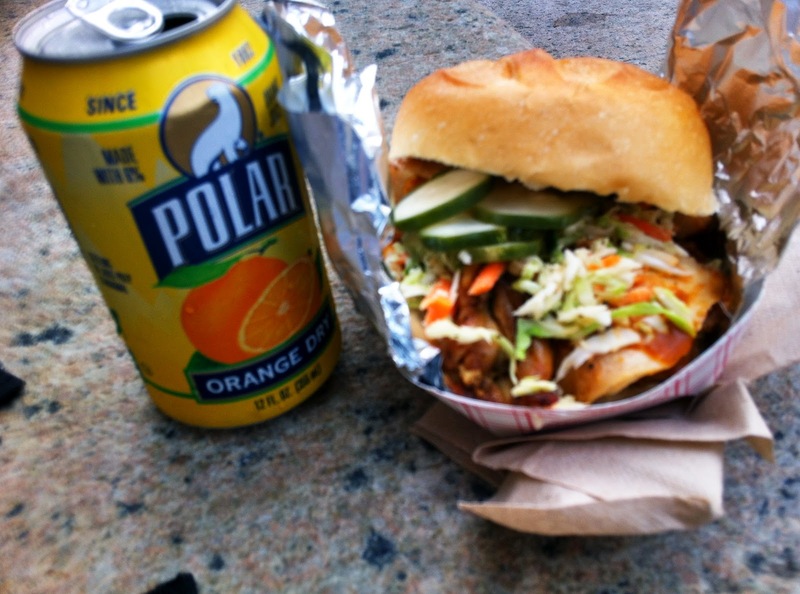 Not lobster “rolls,” but “sandwiches.” I took the T to Central Square and then walked for what seemed liked decades. 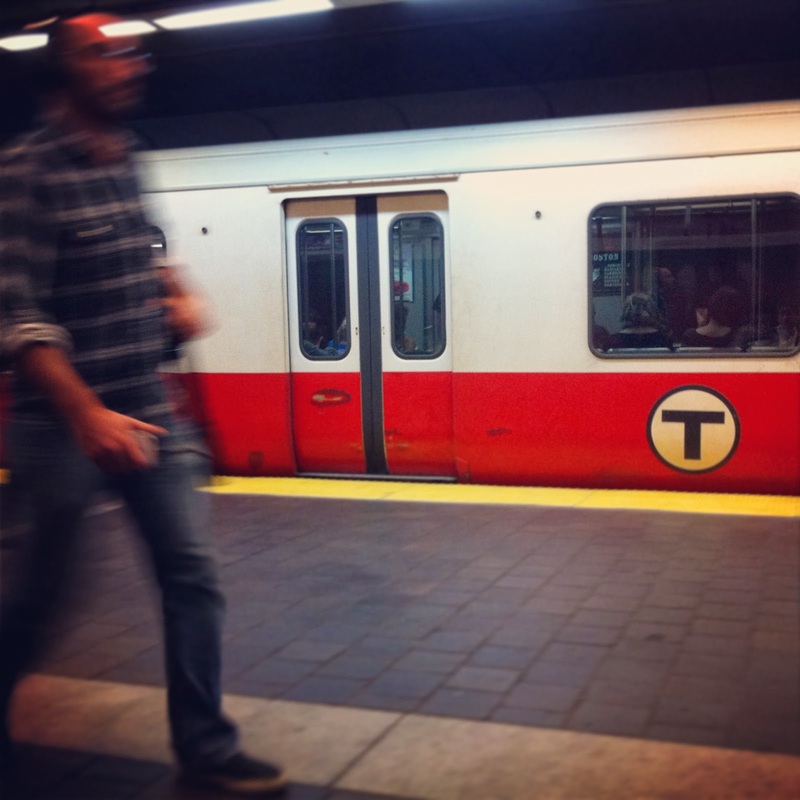 It didn’t help that I wasn’t familiar with the area and that in typical Boston fashion, squares turned into circles, streets were in illogical order and signs were often missing. Definitely not a place you would suddenly stumble upon. Did I mention that it was also raining? 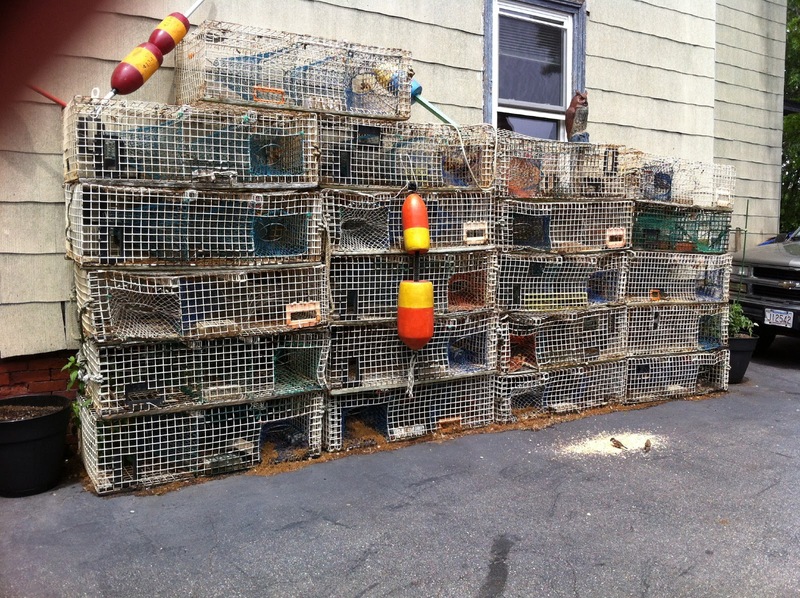 Finally, FINALLY, I arrived at my destination, Alive & Kicking Lobsters. By the time I arrived, I was parched, starving, and I JUST WANTED SOME FREAKING LOBSTERS!!!! And that’s exactly what I got. 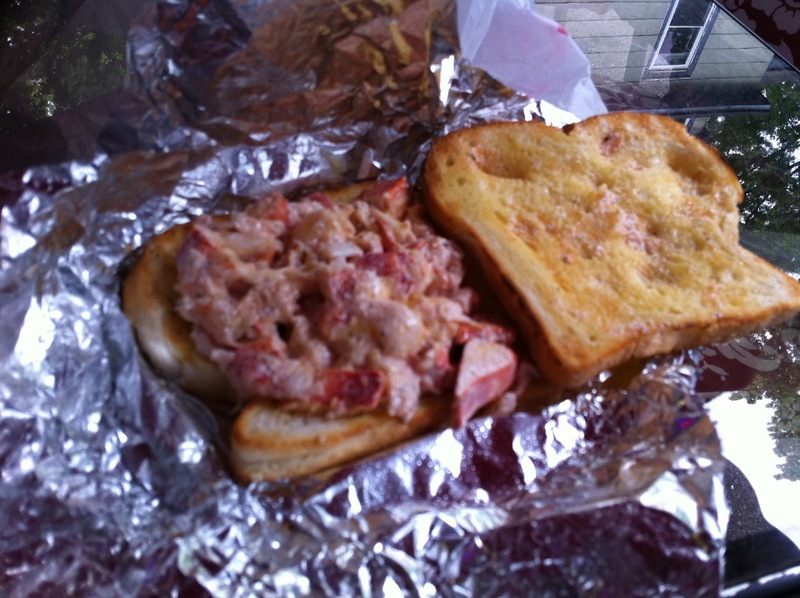 A generous portion of lobster smushed between two slices of warm and toasty bread. And for $13.95, the price was right. Oh yeah. They even have their own line of drinks. Ginger Ale, Birch Beer, Iced Tea, Root Beer, Lemonade, Diet Root Beer, Cream Soda, Black Cherry, Raspberry Lime, Grape Soda, Water, Sarsaparrilla. 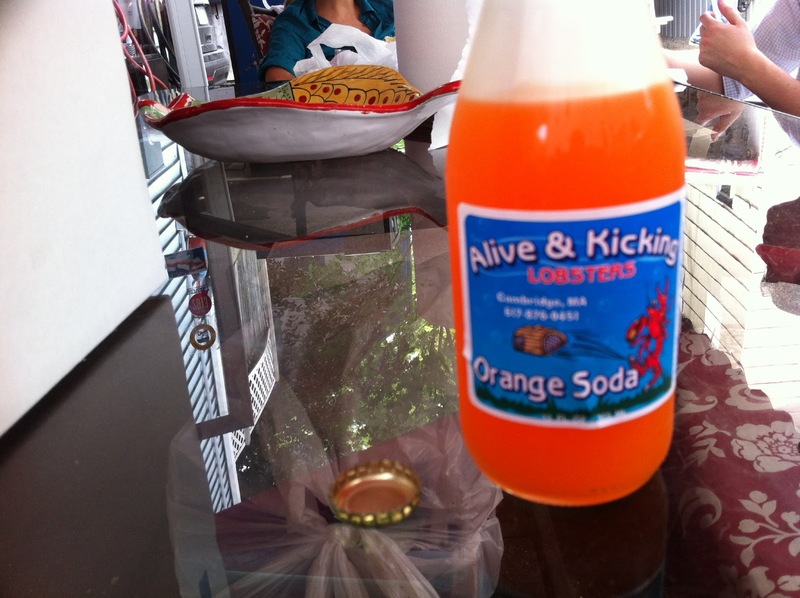 I had the orange soda. Quite refreshing after such a long trek. I would definitely recommend this place. But suggest using a GPS to find your way. 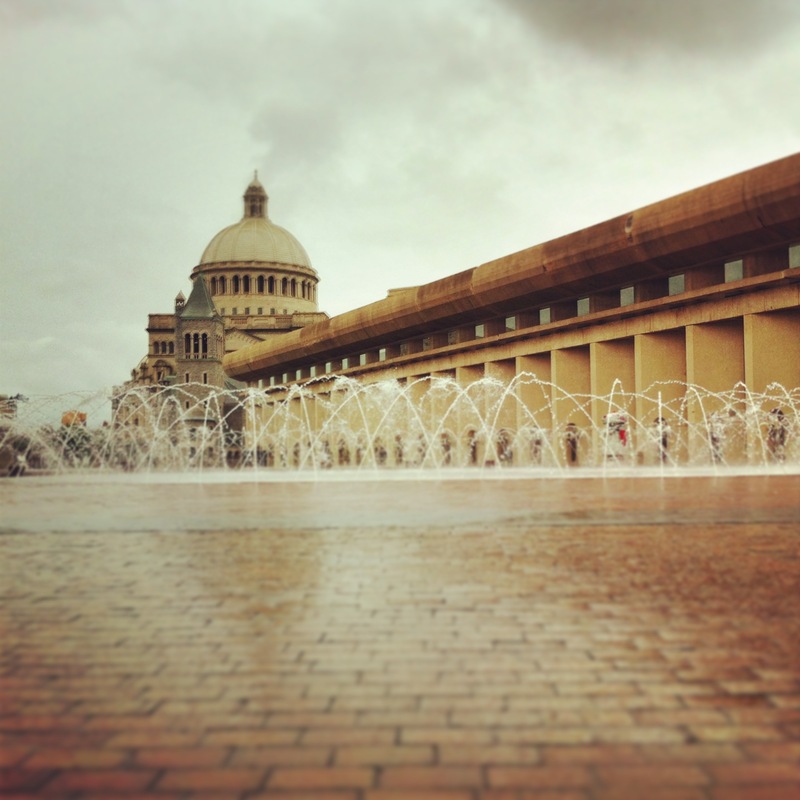 I visited Boston on Memorial Day weekend. 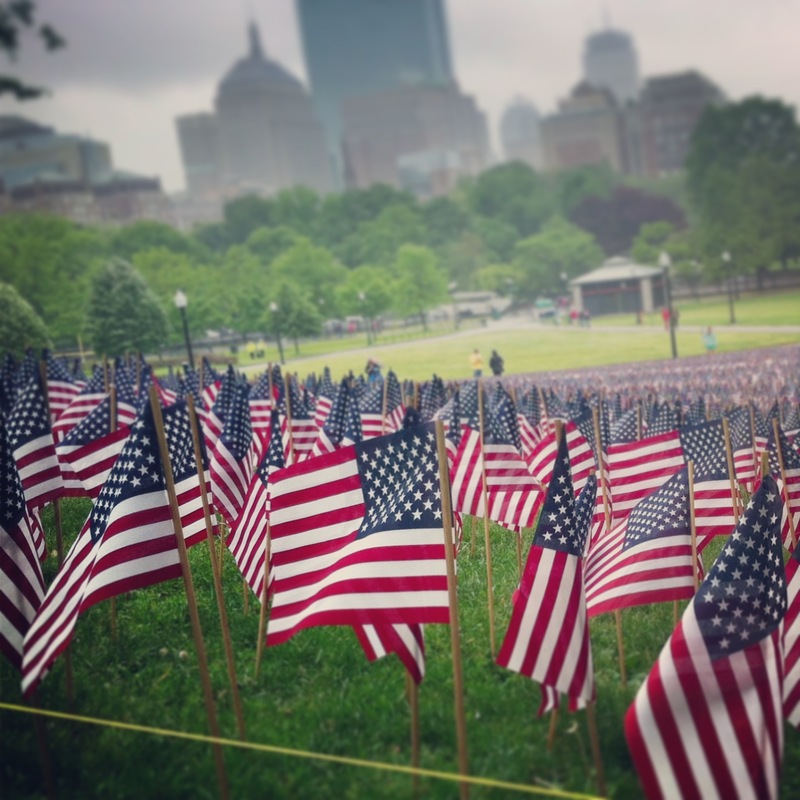 Volunteers planted an estimated 30,000 flags representing the service men and women from Massachusetts who have died in the line of duty since World War I. The sea of flags were quite stunning yet very sobering. 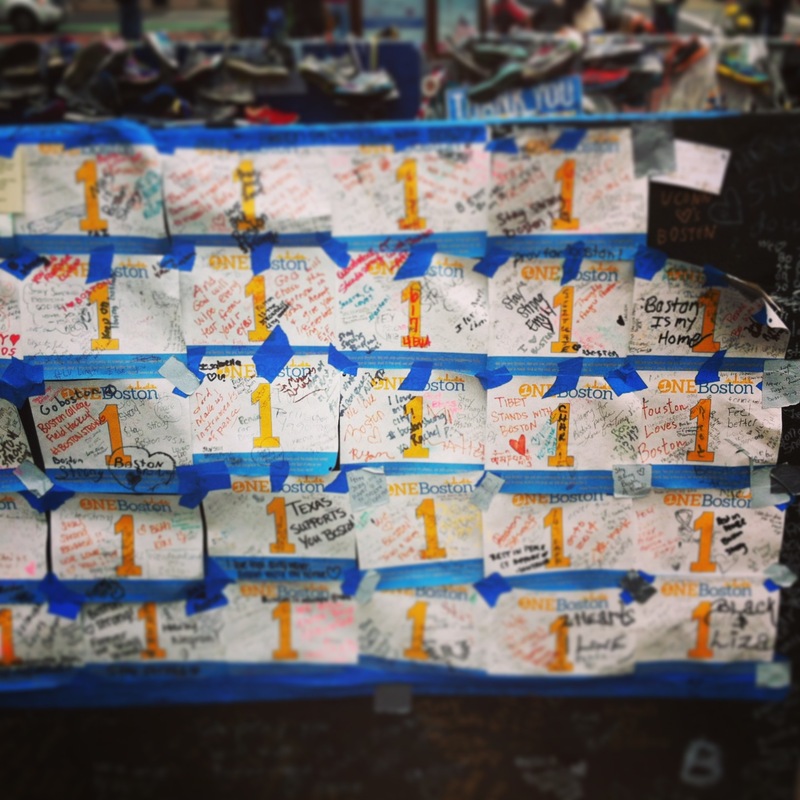 Another sad moment was when I visited the Boston Bombings makeshift memorial near Trinity Church. Although right in the middle of a busy city, the site was eerily silent. Not much more to say other than I do hope that my favorite city recovers from this tragic event. 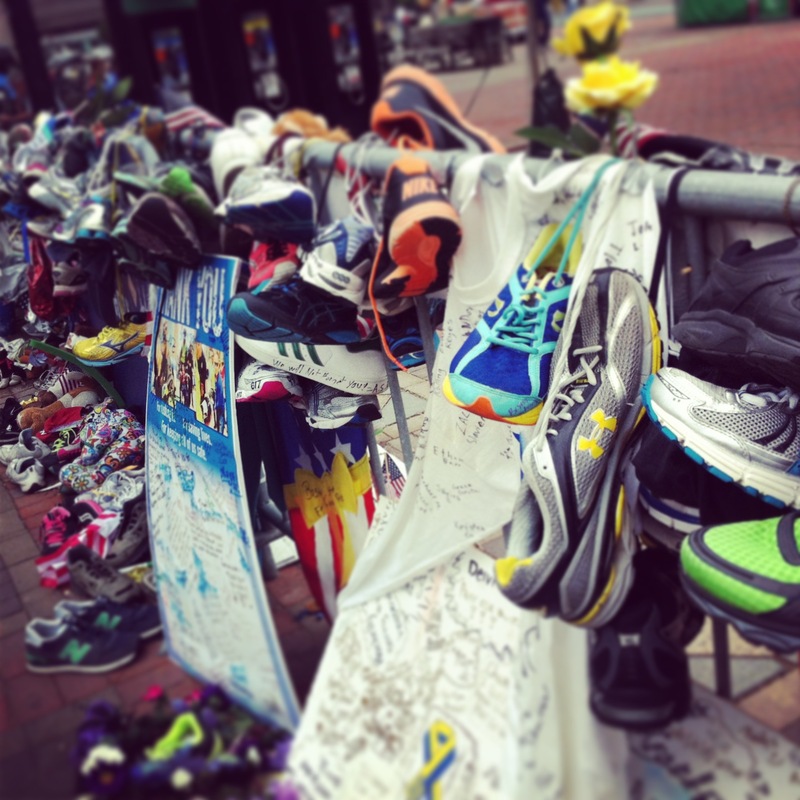 Its people are so kind, resilient and truly Boston Strong. 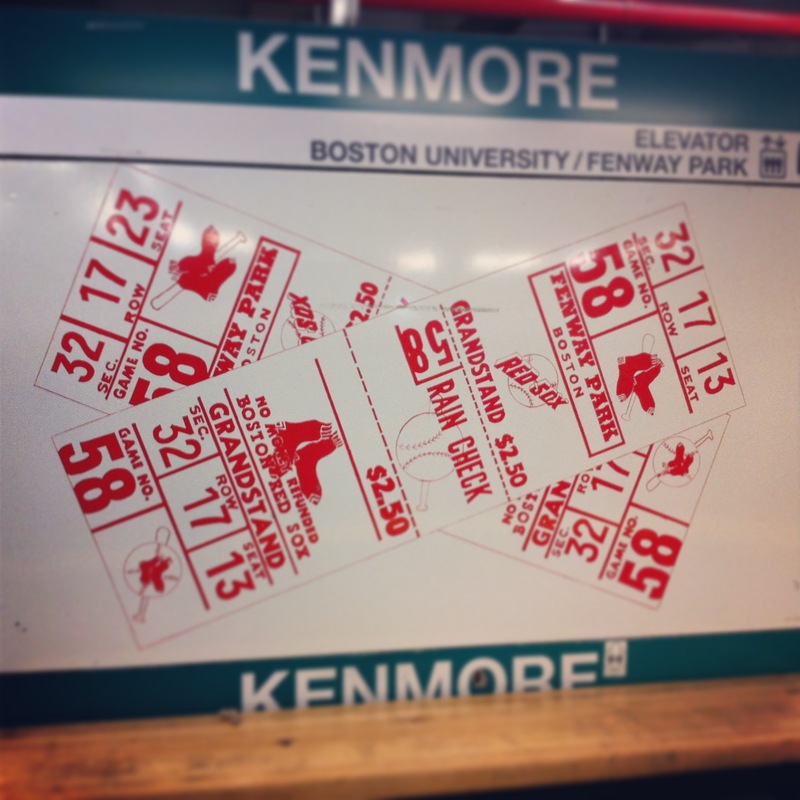 Visiting my friend and going to Fenway are the chief reasons why I come to Boston. The concourse at the ballpark has a wide variety of offerings but I like to stay with the tried and true. 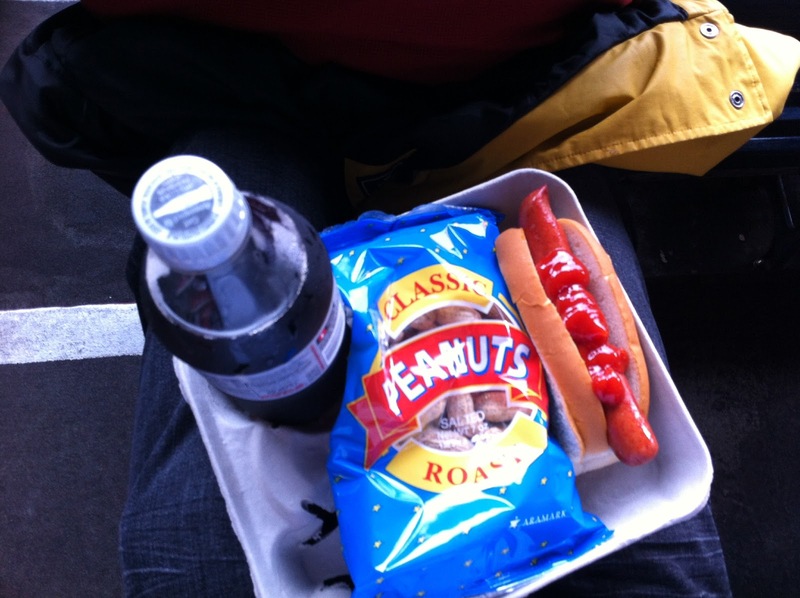 Fenway Franks and peanuts. This is baseball after all! What a find! 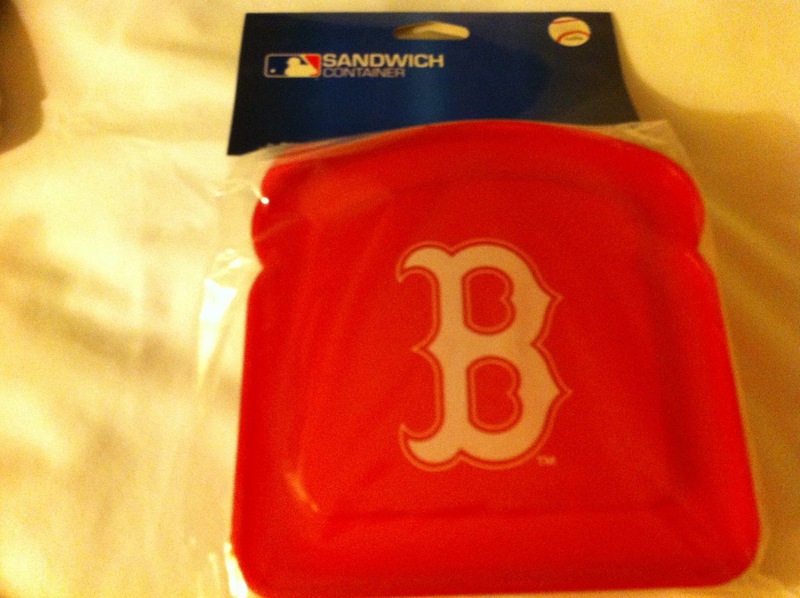 A Red Sox sandwhich container!!!! Joanne Chang is a Boston celebrity. 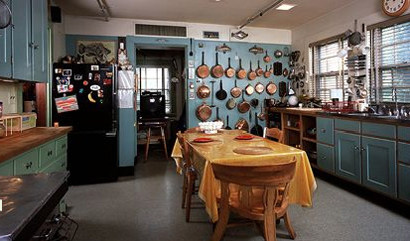 An honors graduate of Harvard with a degree in Applied Mathematics and Economics, Joanne left a career as a management consultant to enter the world of professional cooking. In 2000, she opened Flour, a bakery and café, in Boston’s South End. 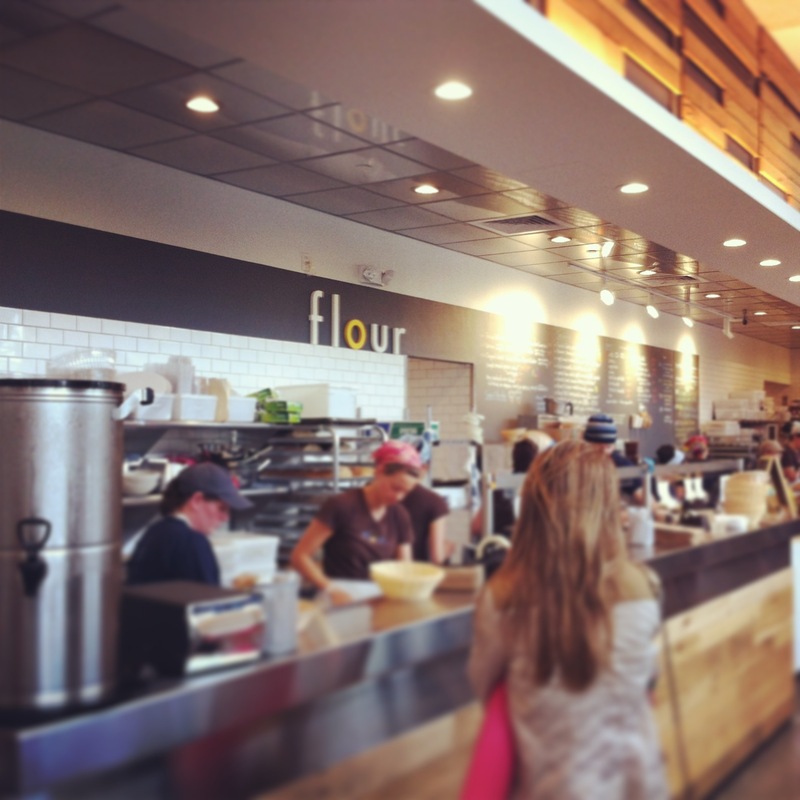 Flour features breakfast pastries, breads, cakes, cookies, and tarts as well as sandwiches, soups, and salads. Flour has been featured in Gourmet, Food&Wine, Bon Appetit, the New York Times, Conde Nast Traveler, Lucky Magazine, Inc. Magazine, and Boston Magazine and has received numerous Best of Boston awards. 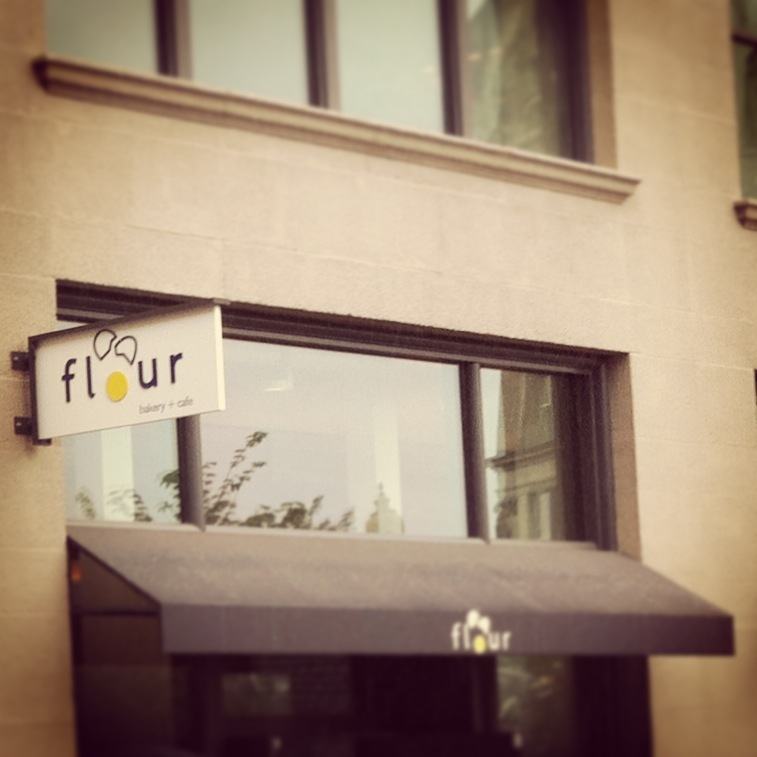 Flour was also featured on Throwdown with Bobby Flay on the Food Network in which Joanne’s sticky buns won over Chef Flay’s. 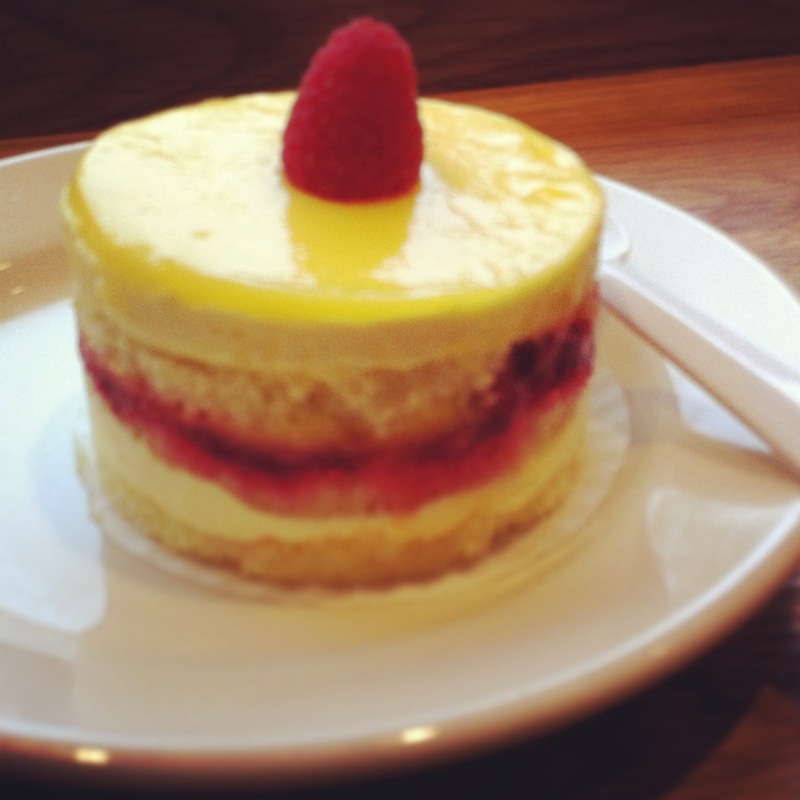 I visited the newly opened Back Bay location and feasted on the lemon-raspberry cake (lemon pound cake brushed with lemon syrup, filled with lemon curd, crushed raspberries and buttercream). 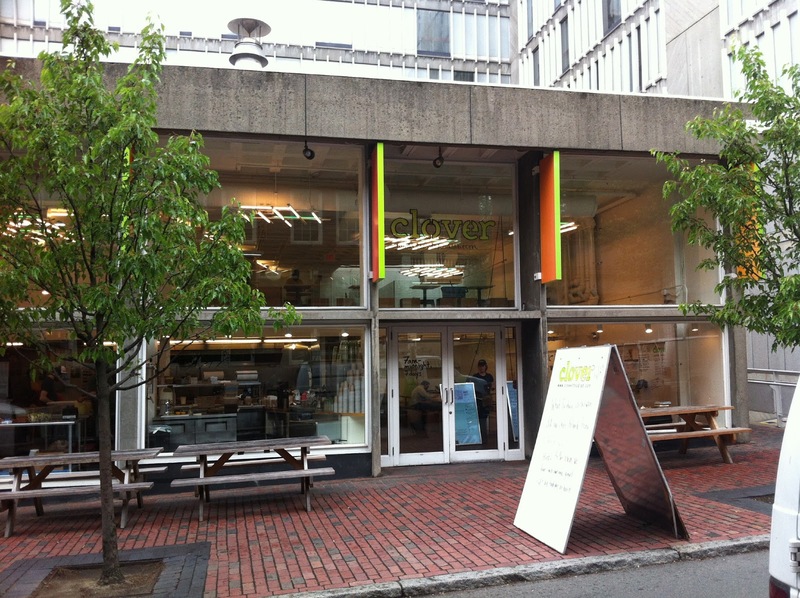 Ms. Chang has built an empire in Boston and certainly does not need endorsement from little ole me, nevertheless I urge you to visit Flour as soon as you can and you’ll see why in 2012 it was voted as Best Bakery and received runner-up status for Best Reason to Cheat on Your Diet. Although I would have given it first place! Pizza is always on my mind. 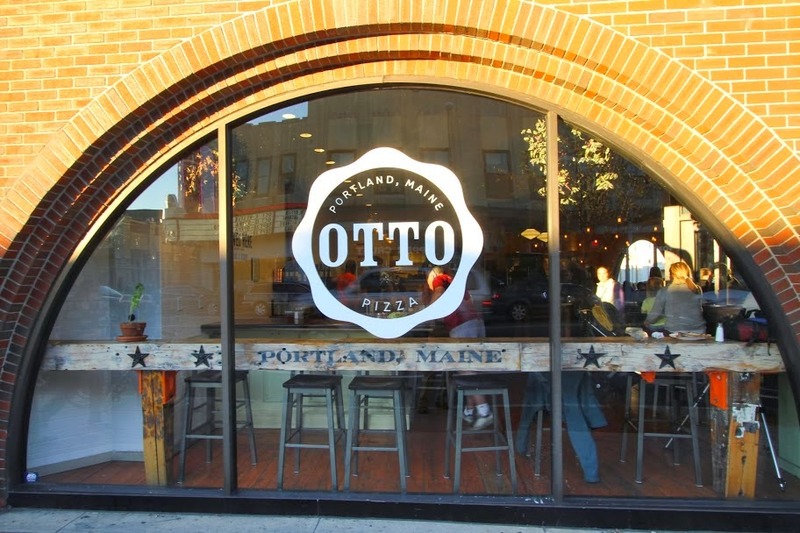 I had heard about Otto’s greatness but in all my visits to Boston, I had never feasted upon “the pie” for myself. I chose to remedy this situation. 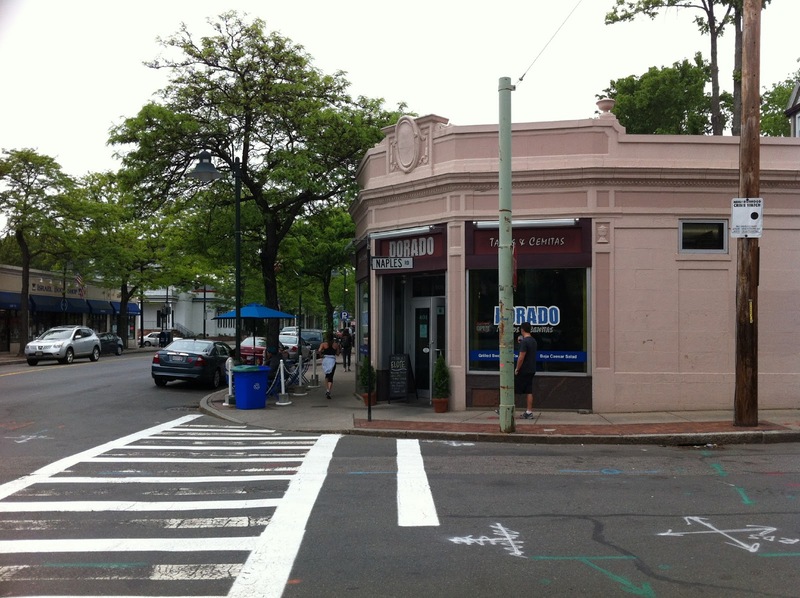 I picked the Coolidge Corner location and dined on suggestions from the server. 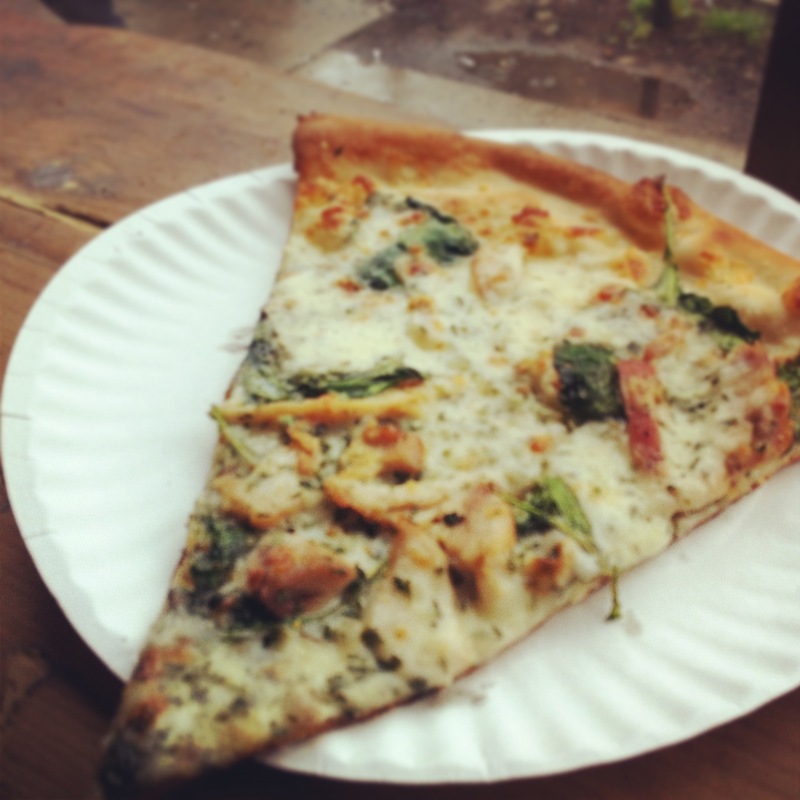 Margherita and Baby spinach, chicken and asiago. Delish. 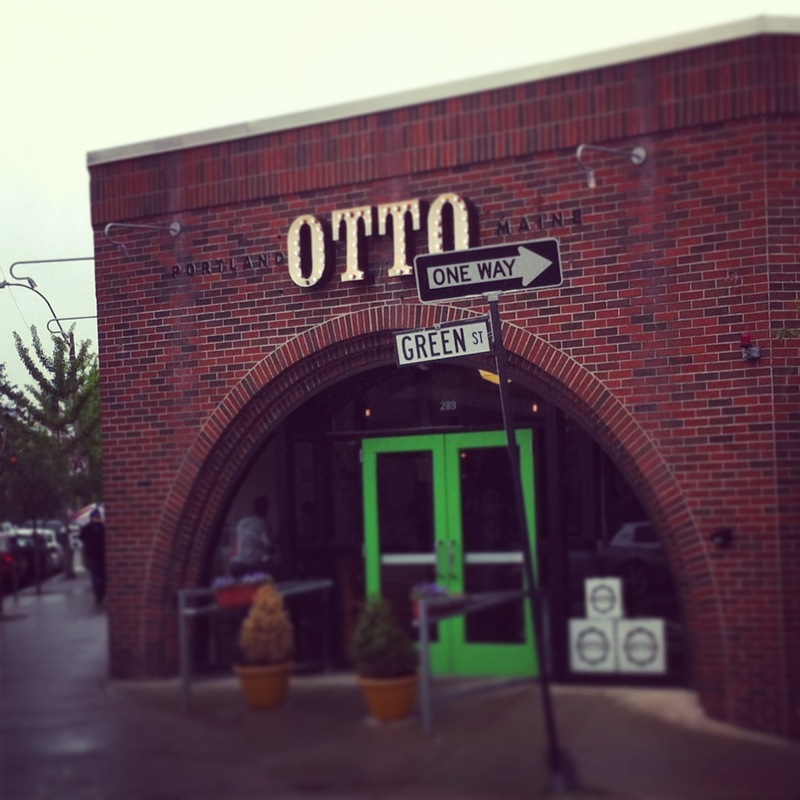 Otto is noted for combining unique toppings. Try the Butternut Squash, Ricotta and Cranberry or the Apple, Bacon and Red Onion or maybe even the Mashed Potato, Bacon and Scallion. Opt for pizza topped with three-cheese tortellini or maybe even pulled-pork and mango. 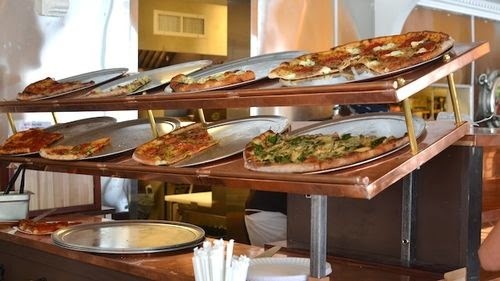 With these wonderful creative pies, it’s easy to see why Otto was recently chosen by the Boston Globe as one of the 10 best pizza shops in New England. 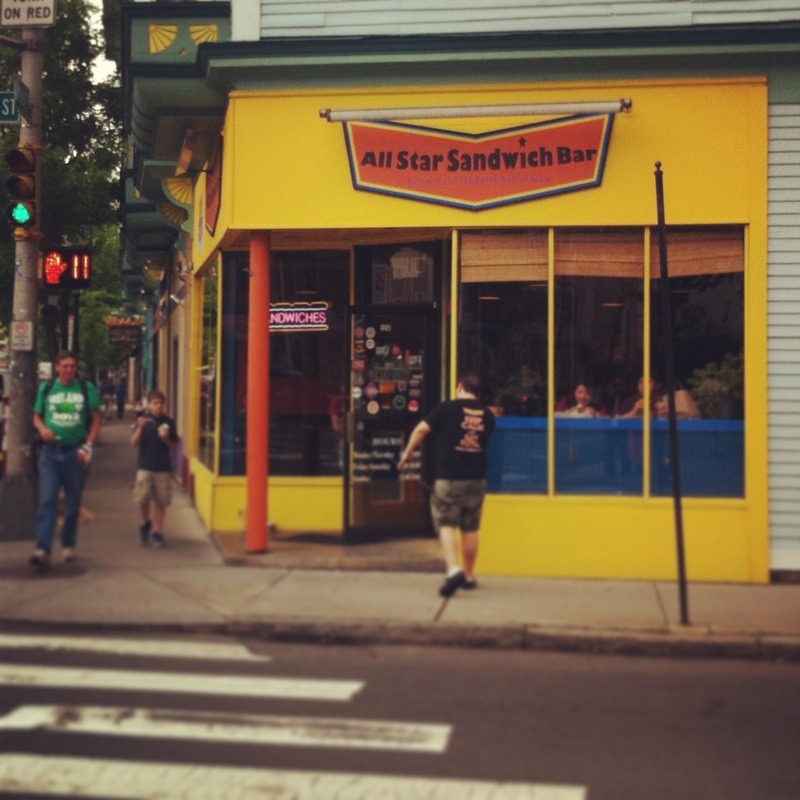 My pal and I made our way to Inman Square to a local sandwich shop deserving of its name, All-Star Sandwich bar. The wild colors, the people, the friendly wait staff and the chaos from the kitchen somehow brings this place together and makes it very unique. It’s exciting and welcoming all at the same time. All-Star runs seven different specials for every day of the week, specific to that day. 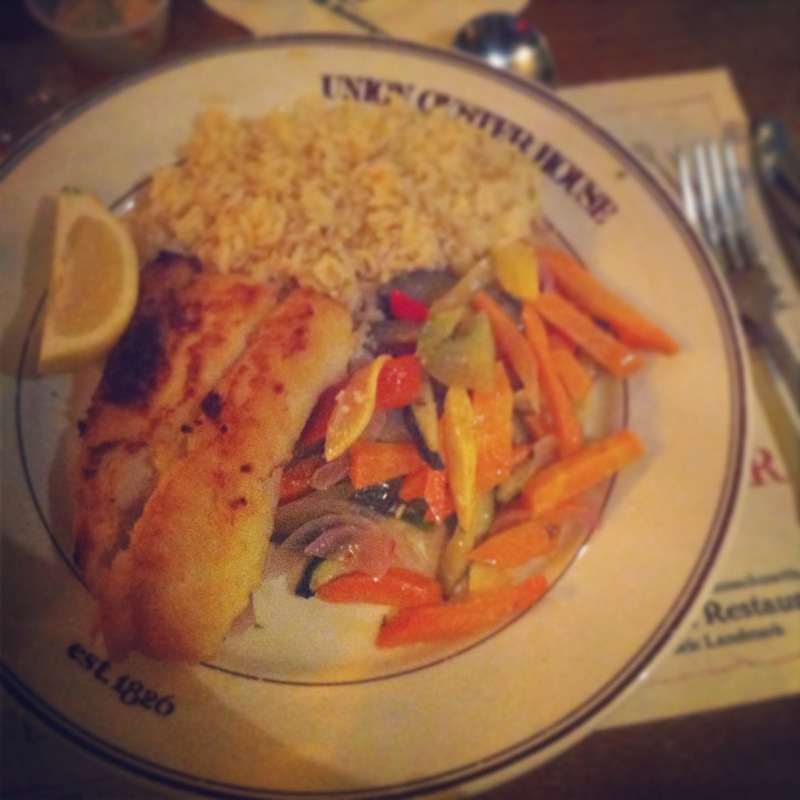 We tried out some mainstays from the menu. The Veggie Cubano (Grilled eggplant, zucchini, summer squash, roasted peppers, portabelo mushrooms, jack cheese, Swiss cheese, with cilantro aioli and Dijon mustard pressed on French bread) and the classic Reuben (Corned beef with Swiss cheese, sauerkraut and russian dressing on rye). The Cubano was perfect. It’s hard to make a veggie sandwich that’s not mushy or watery. Not in this case. All of the ingredients blended in perfect unison. 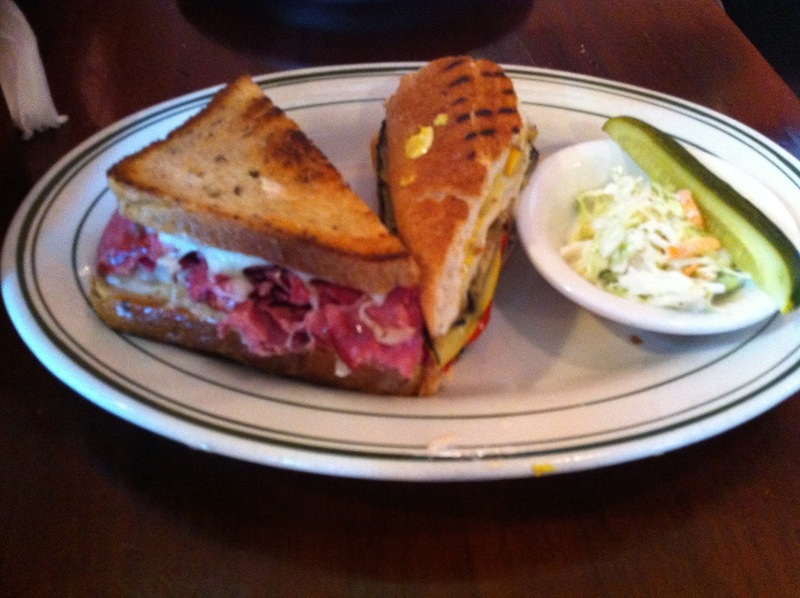 The Reuben was, well, classic. 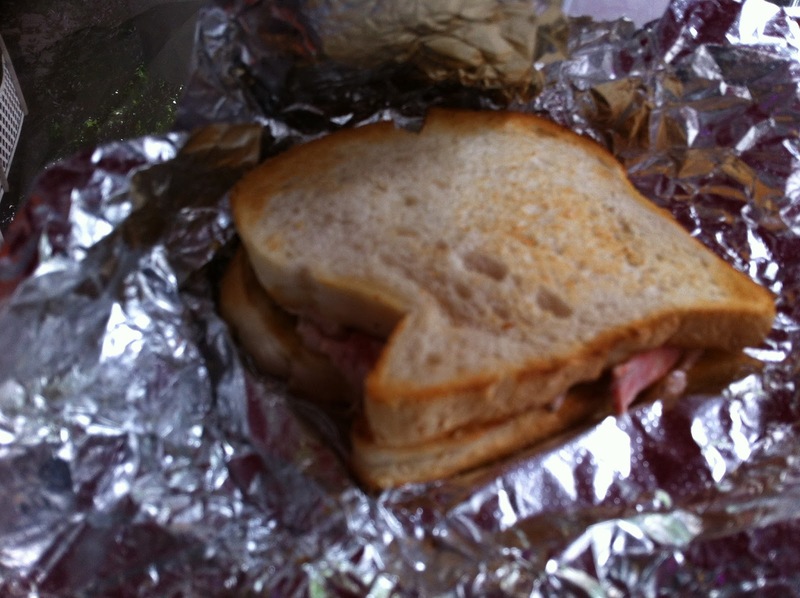 Great tasting corned beef with just the right amount of dressing on nicely toasted bread. It’s a fun place with delicious food. 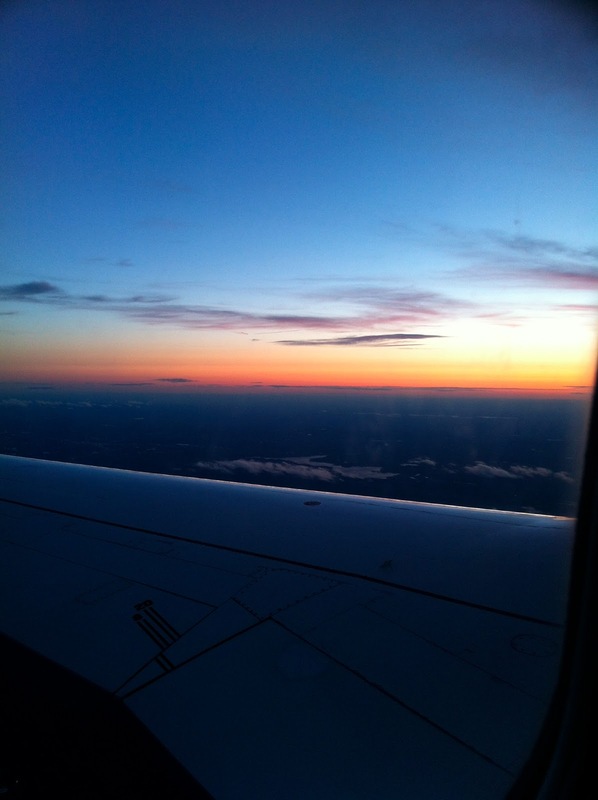 And I will be returning. Often. If only to try out one of the special sandwiches that’s right in my wheelhouse. Buttermilk fried chicken, braised collard greens, country gravy and cheddar cheese. That sounds crazy good, no? And with that it was time to bid adieu to my fav city. 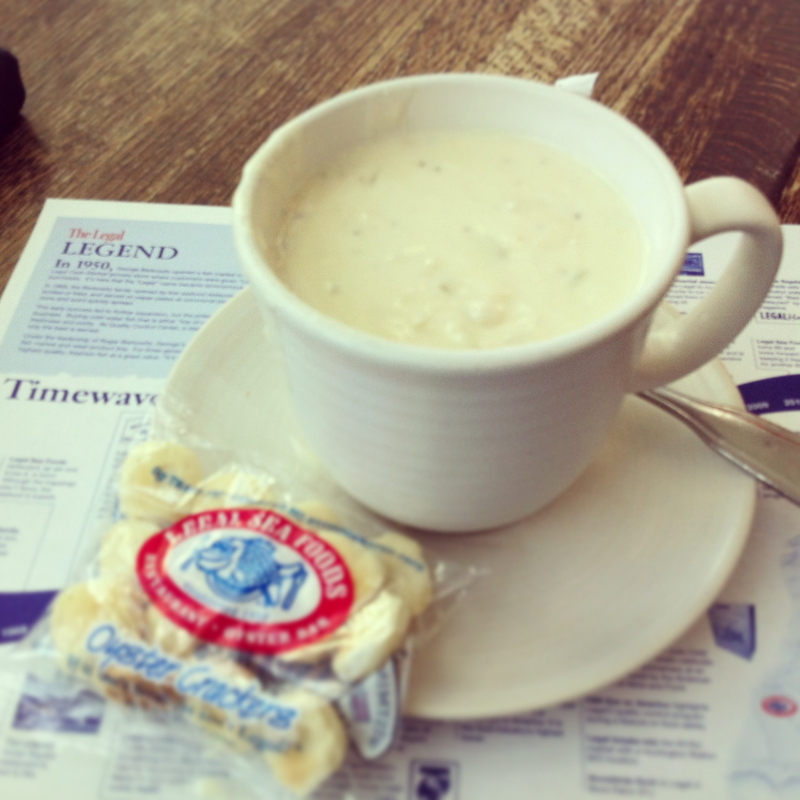 But not without a clam roll and some chowder from an old mainstay, Legal Seafoods. 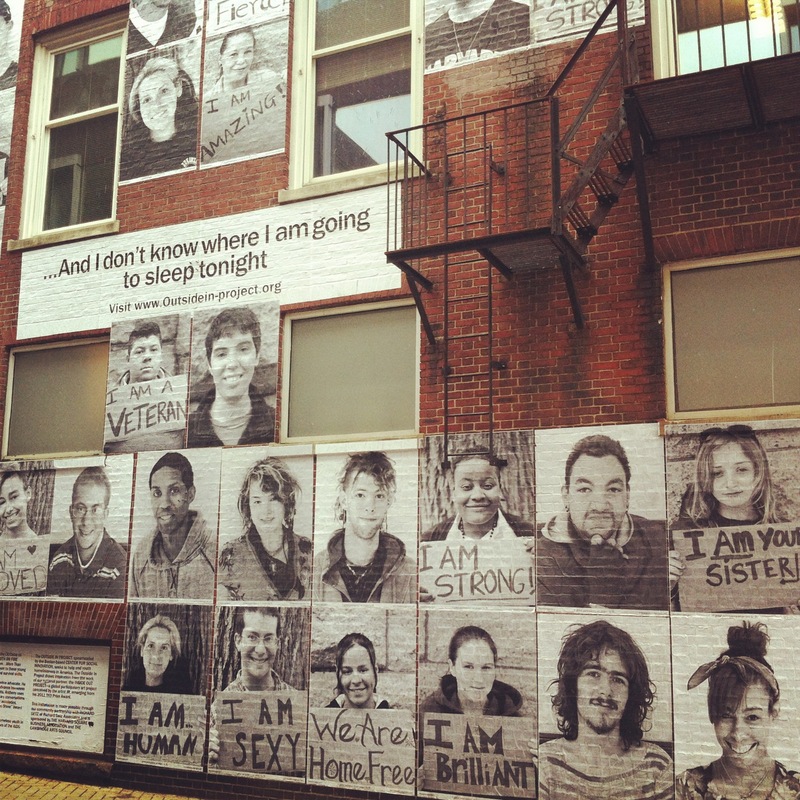 Boston I miss you already. I’ll see you in September! 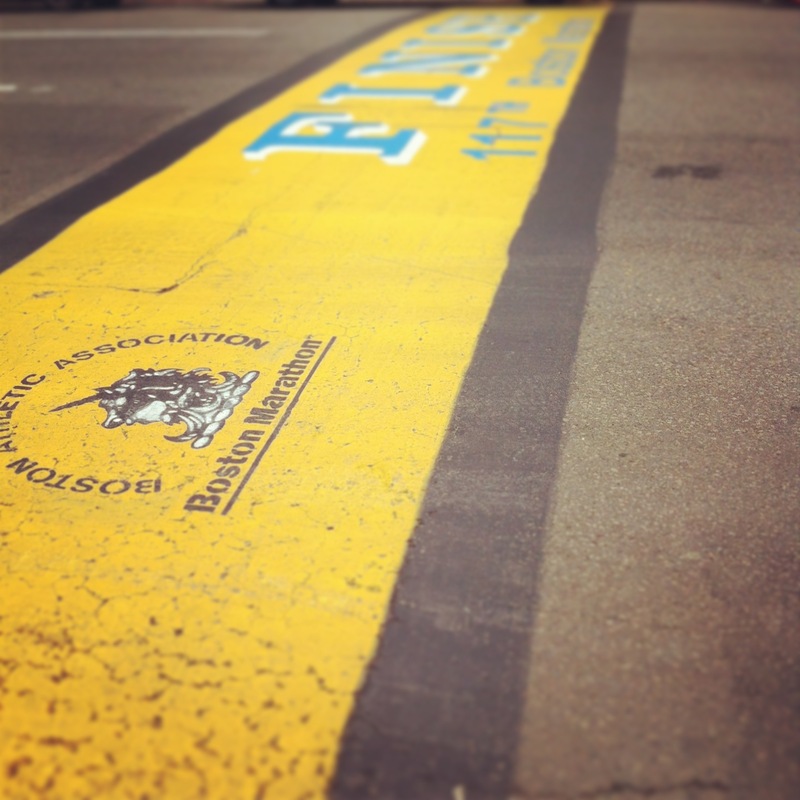 Stay #bostonstrong! Go Red Sox!!!! 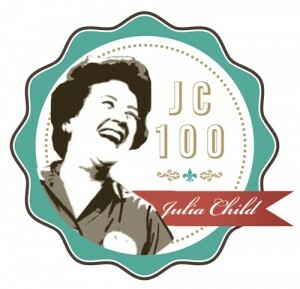 This post is part of a weekly series celebrating the extraordinary legacy of Julia Child leading up to what would have been her 100th birthday on August 15, 2012. 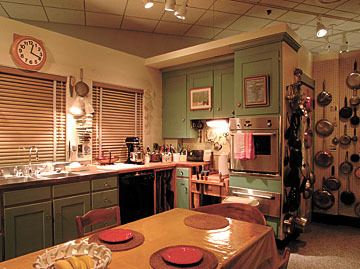 When I visit Boston I stay in Cambridge, about a ten-minute walk from where Julia Child used to live. I’ve visited her house a few times. That is, I’ve seen where she used to live. Since Julia’s house is a private residence, I didn’t dare knock on the door and ask for a tour. Though I was tempted. 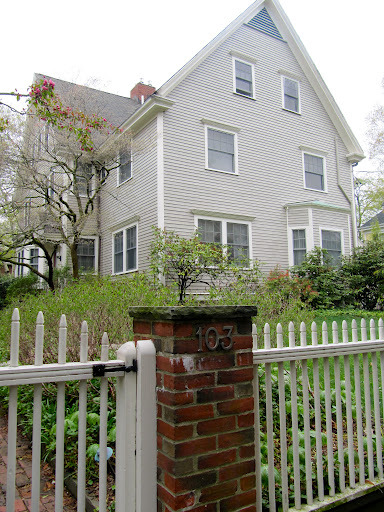 Julia and her husband Paul moved into 103 Irving Street in 1961. 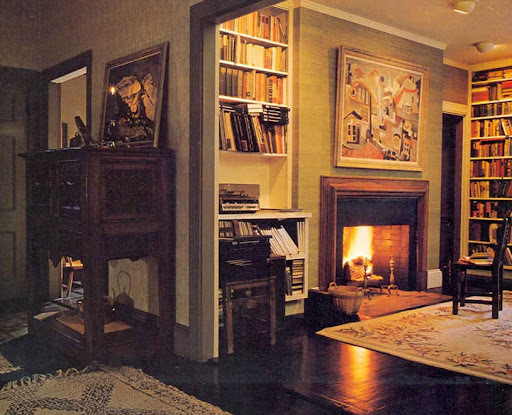 The 6,000 square foot home had 5 bedrooms and 4-1/2 baths. The neighbourhood is lined with turn-of-the-century houses and is just blocks from Harvard Square. 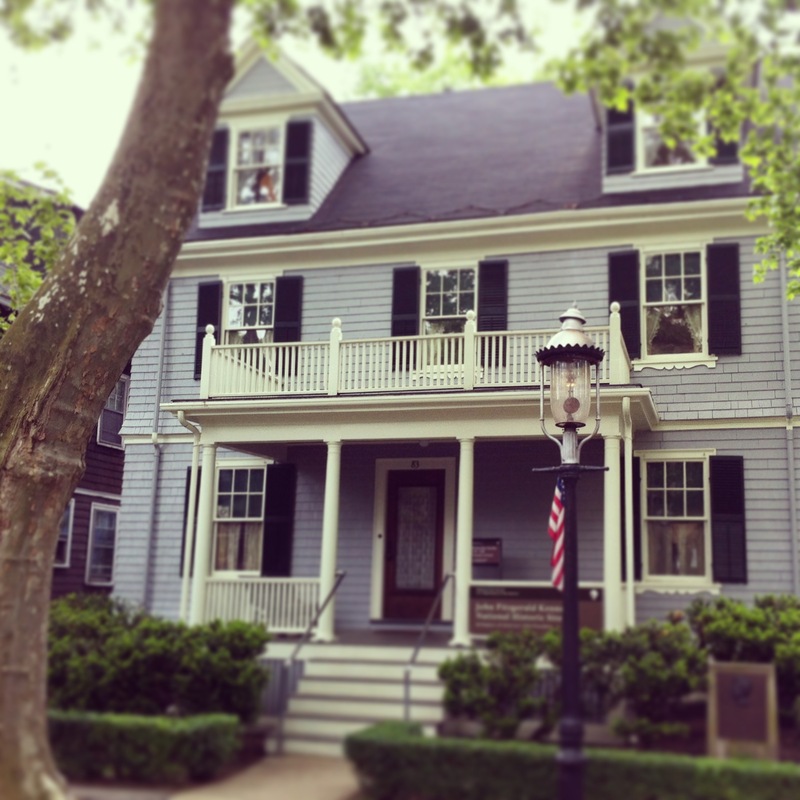 According to Elizabeth Bolton of Centers & Squares, this neck of the woods is long popular; with Harvard professors—among them, economist John Kenneth Galbraith, who lived one block over on Francis Avenue, Cambridge’s “Professor’s Row.” The house is directly across the street from the birthplace of poet e.e. 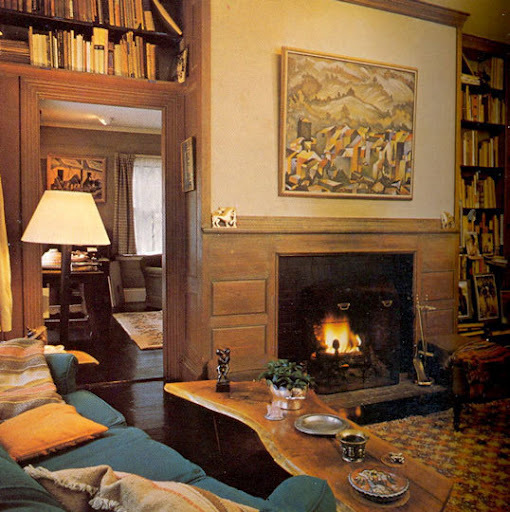 cummings and is two houses down from the home of 19th-century philosopher and psychologist William James. 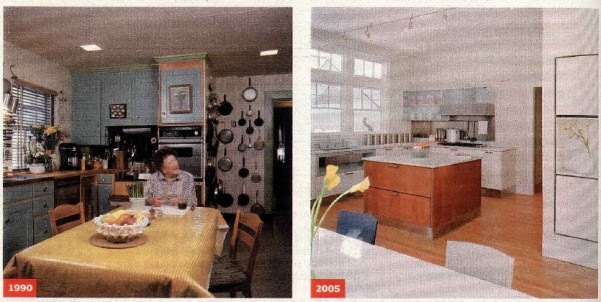 Julia described the kitchen as “the most loved and most used room in the house.” That kitchen was the set for her cooking shows for several years, until she retired to California for the last few years of her life and the house was sold. 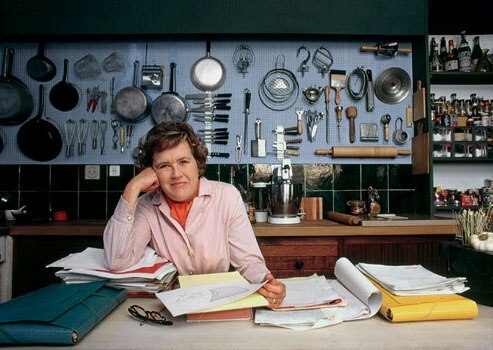 Julia Child, photographed in her Cambridge, Massachusetts, kitchen, June 29, 1970. The house was sold in 2001 to a developer and redesigned with six newly installed, central air conditioning, central vac and a new kitchen. 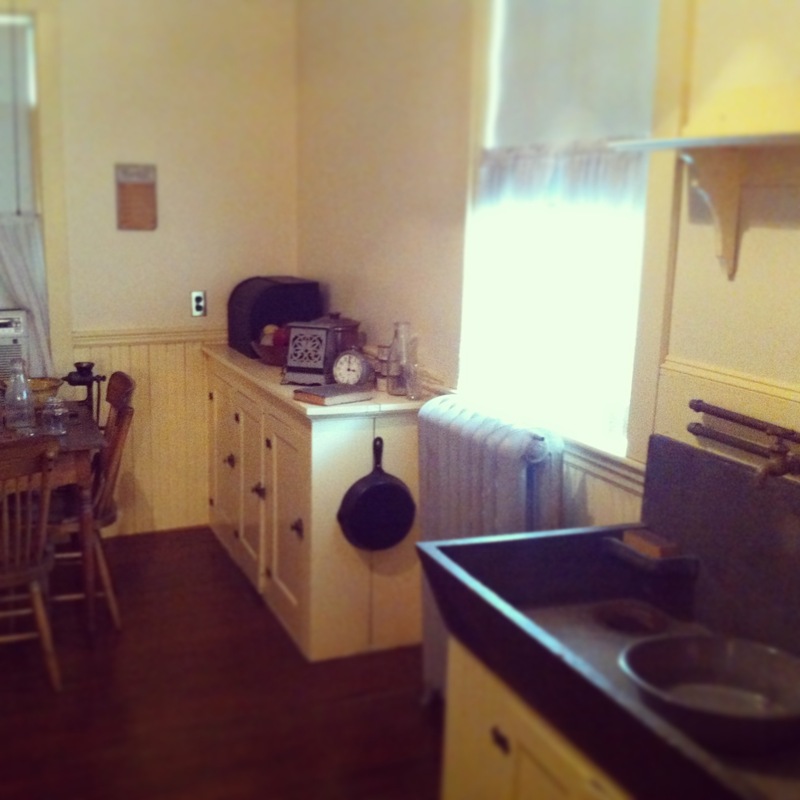 The new kitchen, IMHO, is sterile and devoid of any charm or personality. 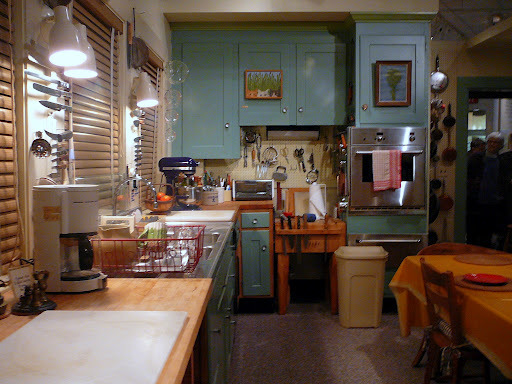 I have this fantasy that I will one day buy the house and restore the kitchen to its former glory. The newly renovated house was sold in 2004 for $3,755,000. 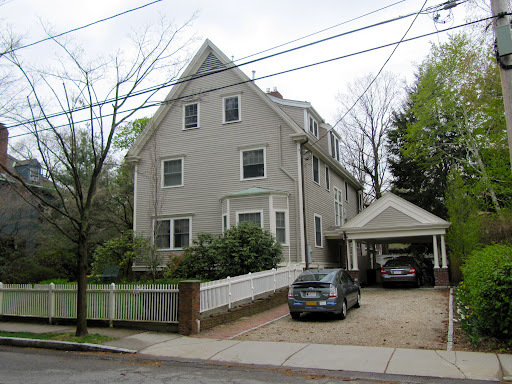 In 2008, Boston.com ran an article about the house being up for sale for $4.35 million. I guess I need to start playing the lottery to make my fantasy come true. Thankfully the kitchen was not demolished. 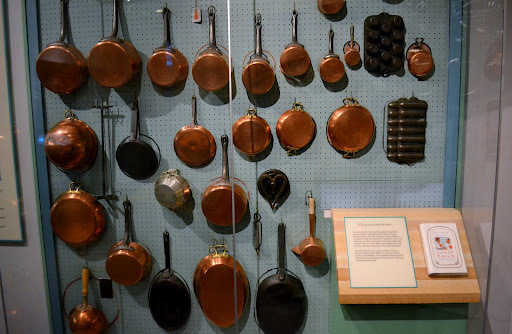 It was donated to the Smithsonian and the kitchen in its entirety was removed from the house and sent to the Smithsonian’s National Museum of American History in 2001, where it resides today. Is there anything more associated with baseball than hot dogs? 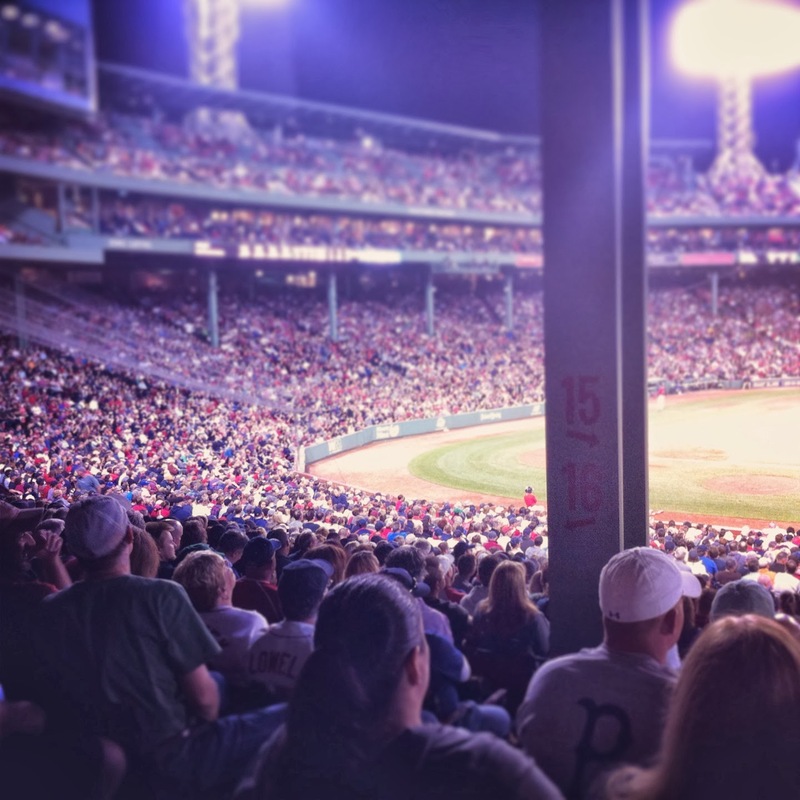 Cracker Jacks have their place but there’s nothing like having a hot dog at the ballpark while watching your favourite team play. 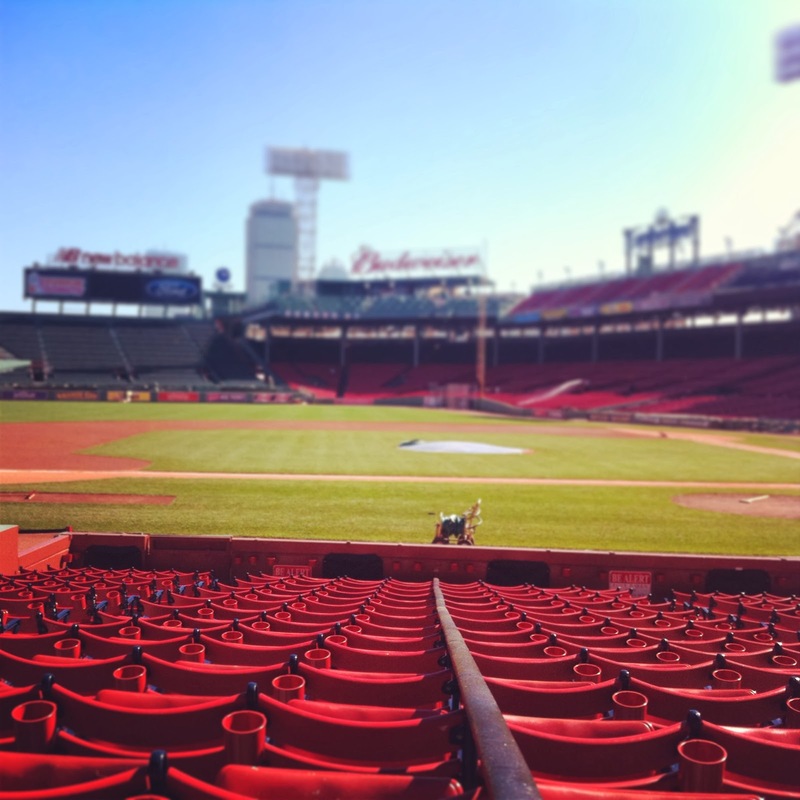 Have you ever been to Fenway and tried the Fenway Franks? BEST. HOTDOG. EVER. IMHO. Perfect flavouring, boiled then grilled and served on a New England style bun. Nothing like it. Here’s a short video from Boston.com on the making of Fenway Franks. If you live in the New England region, you can also get them at your local grocery store. 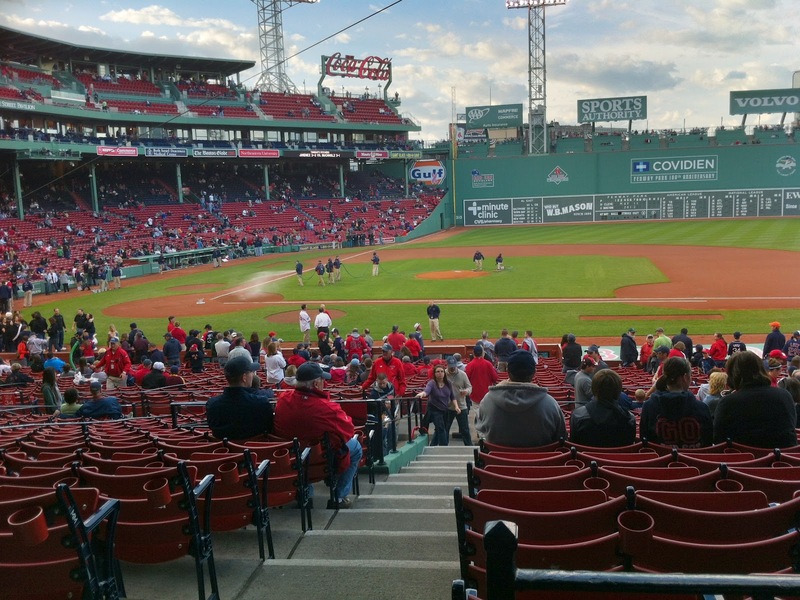 Since I’m 7.5 hours out of Boston, (Ottawa, Canada) I’ll have to wait for my yearly visits to Fenway. I like my doggs with ketchup and relish. 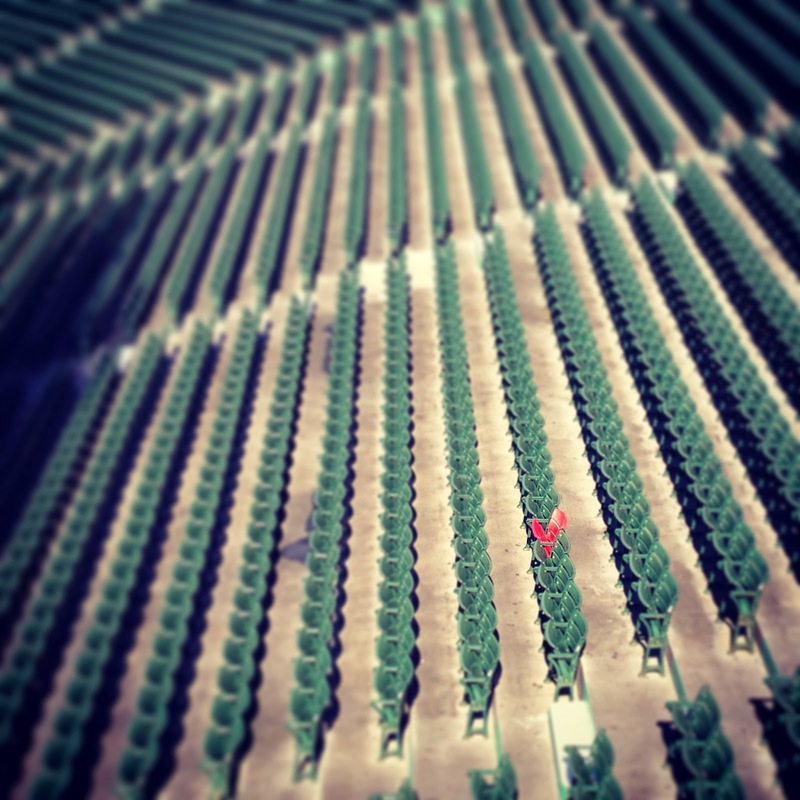 Here’s where I was sitting. Great view! 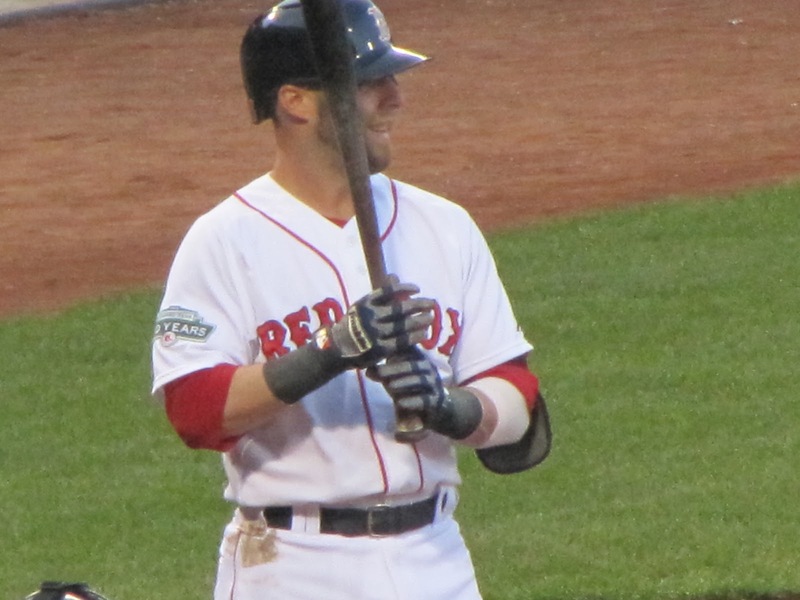 Dustin Pedroia is my favourite player. 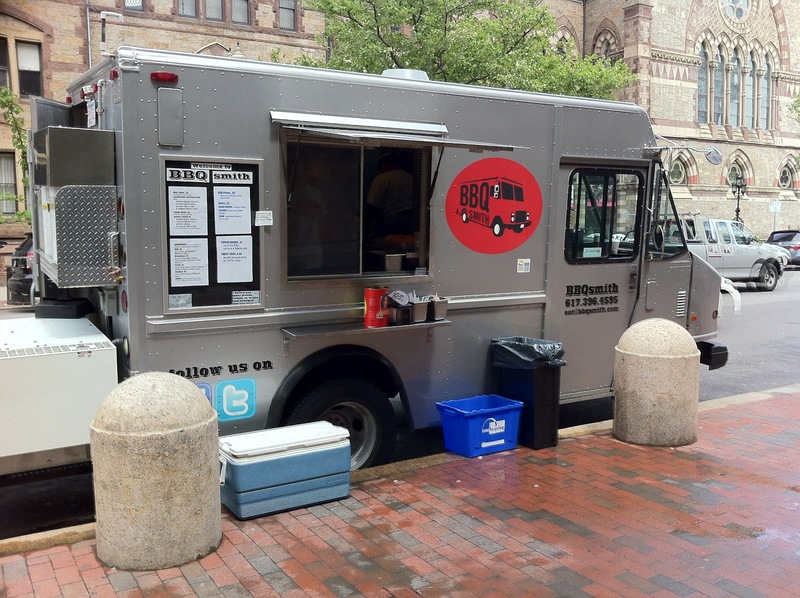 During my time in Boston, I had full well intended to sample the many food trucks that line the streets. But it’s raining. ALL THE TIME. I did manage to try the BBQ Smith truck. It was parked near the library just outside the Copley T station as I was running for one thing to the next. Within minutes I had my hands on a Slawwhich. Smoked chicken with BBQ sauce, slaw and garlic pickles on a soft roll. The piled high smoked chicken was flavourful, the sauce was tangy and the pickles and coleslaw added a nice crisp touch. This sandwich was very reasonable priced at $6.